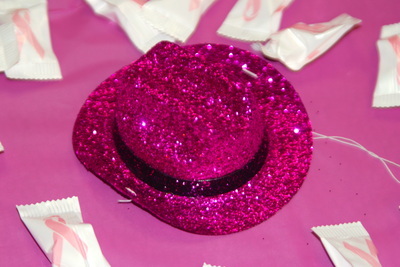 October 1, 2018. 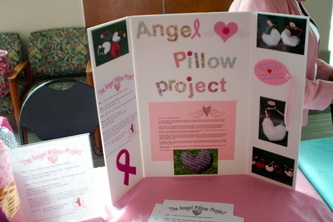 Mu Epsilon Omega Chapter of Alpha Kappa Alpha Sorority Inc. take Angel Pillow on the road to California. 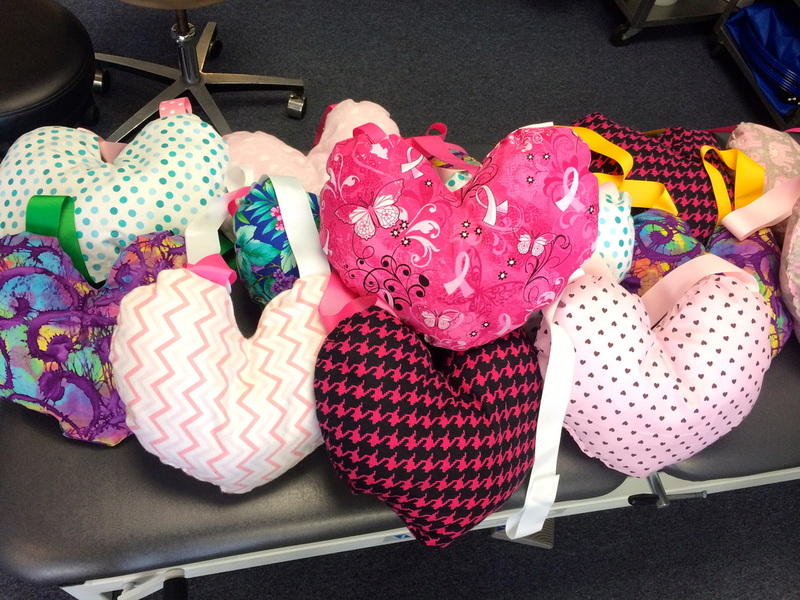 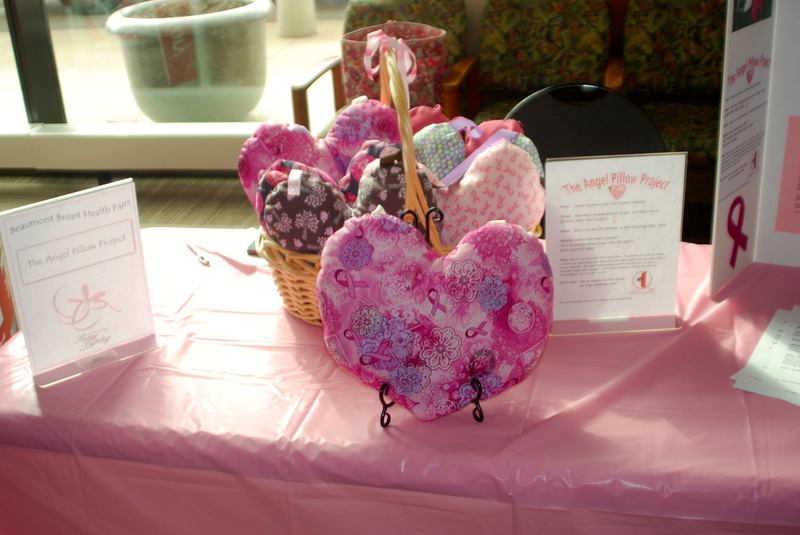 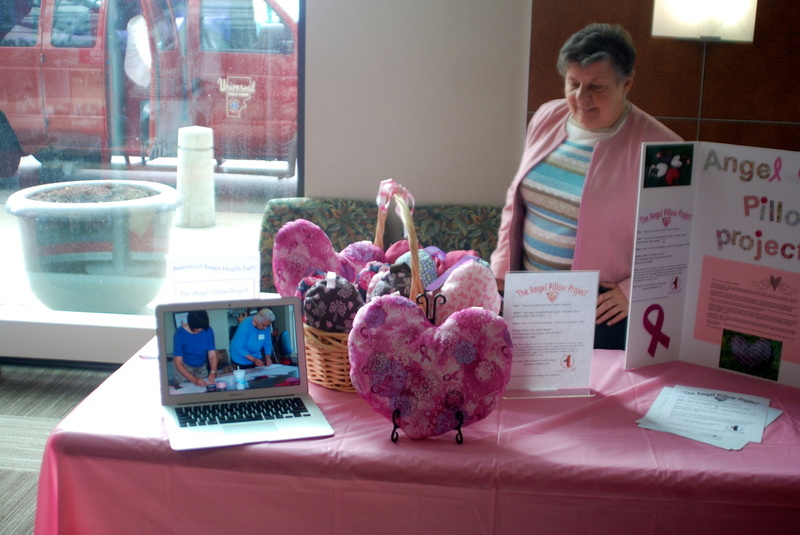 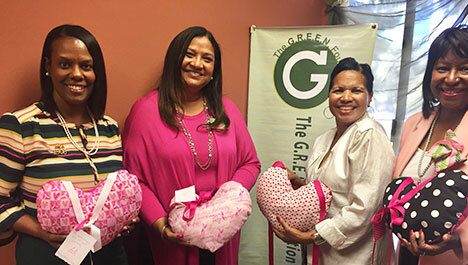 In recognition of Breast Cancer Awareness Impact Day, pillows were donated to The GREEN Foundation in Orange County, CA. 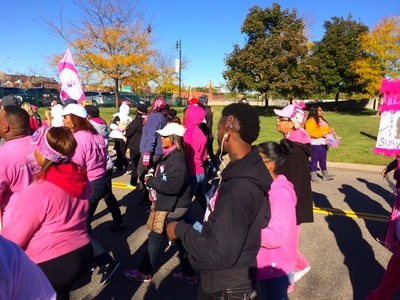 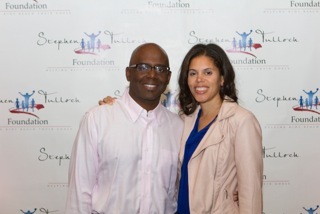 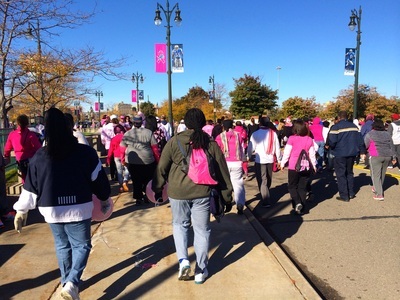 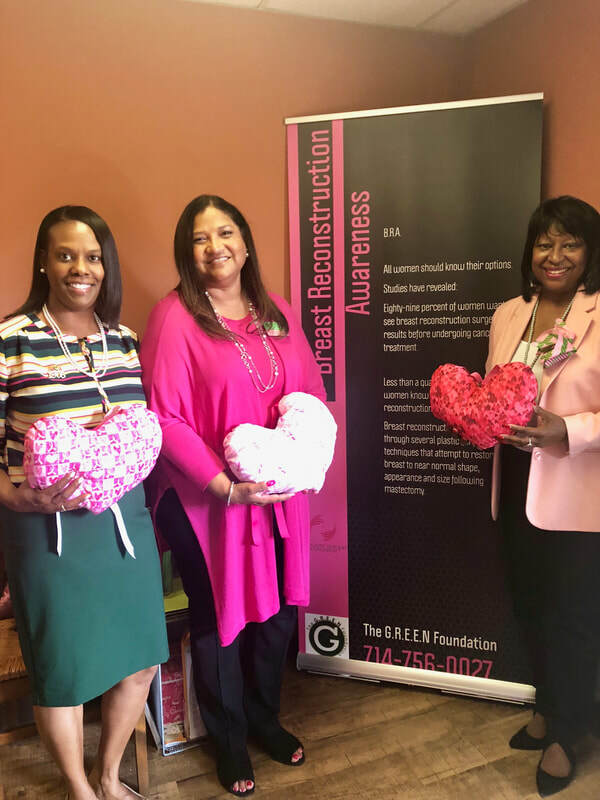 The GREEN foundation offers breast cancer health education to the African American community and campaigns to educate, engage and empower advocates to support equal health coverage for all. December 11th, 2017. 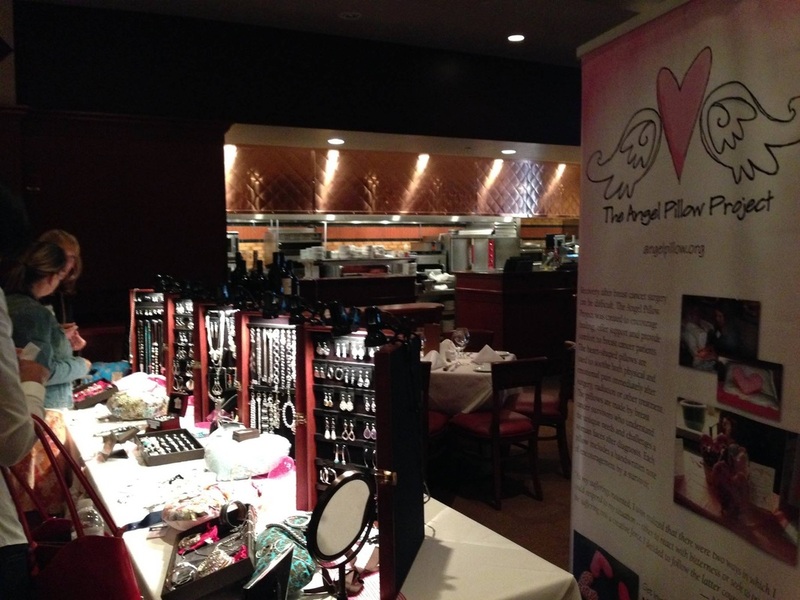 Angel Pillow Holiday Party. 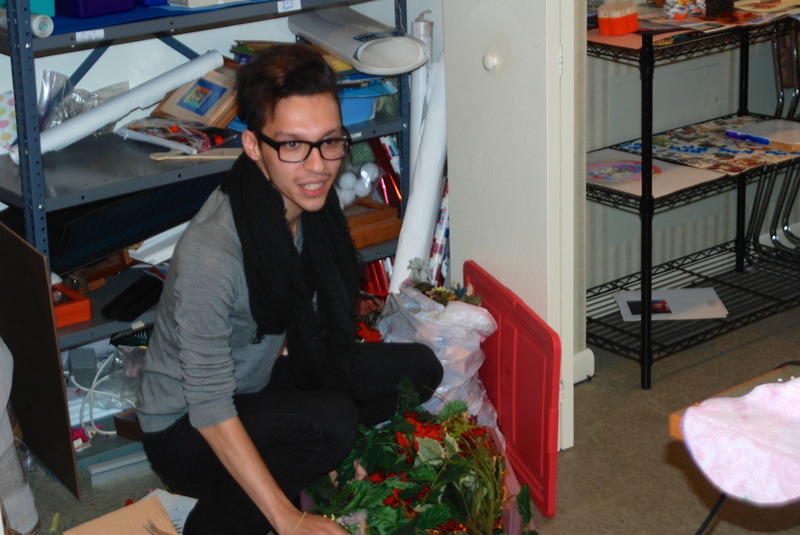 We are getting quite festive at Angel Pillow these days. 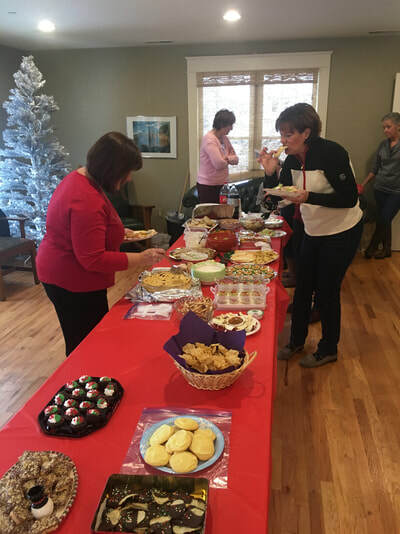 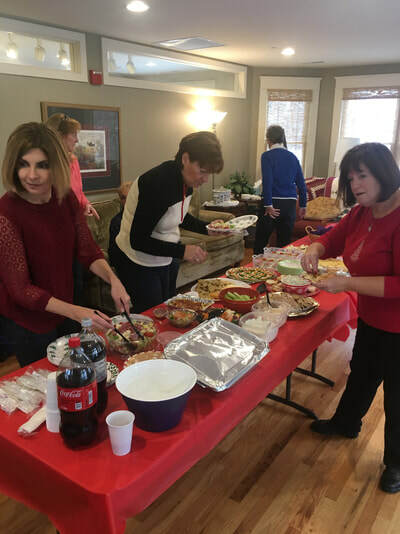 We decided we would try a potluck lunch in celebration of the holidays! 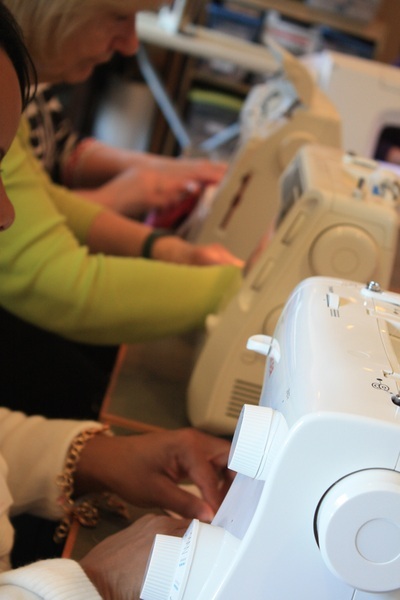 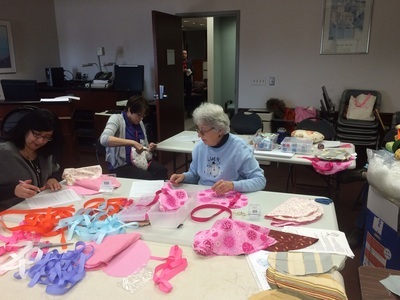 January 26th, 2015 Sewing at Beaumont Hospital Royal Oak with Sharing and Caring. 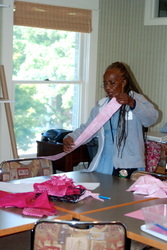 We received a generous gift of fabrics from calico corners for our sewing session today. We were able to make some very outstanding and beautiful pillows using these designer fabrics. 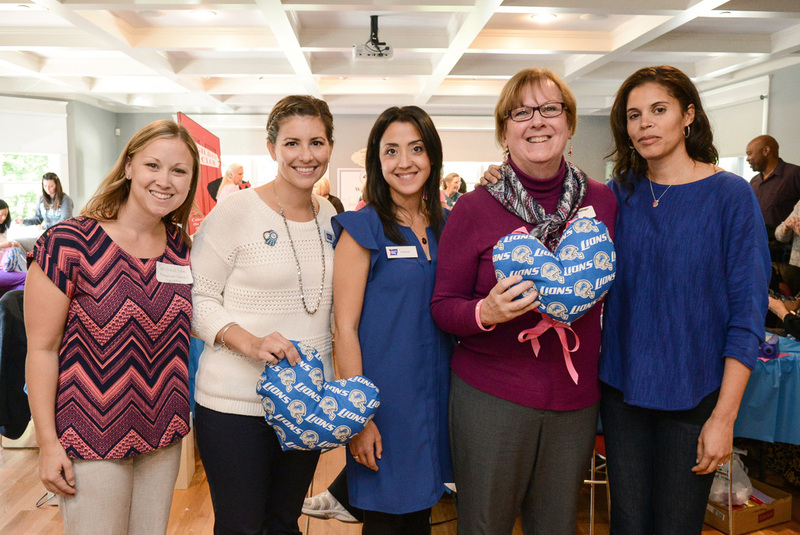 We had the pleasure of being joined by the clinical trials department with the opportunity to learn a little more about them. 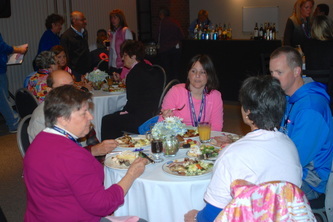 We had some of our regulars attending as well as a new faces. 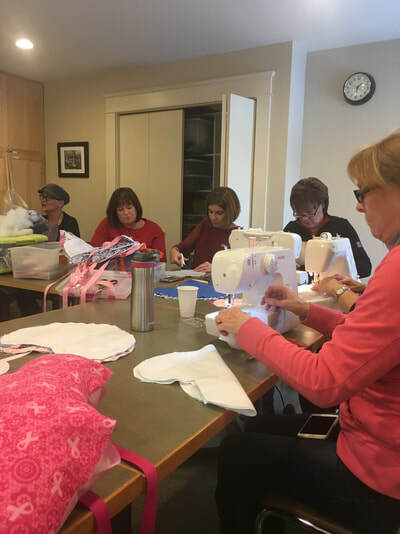 We had a great time selecting the fabrics to use and hope that the ladies who receive these special creations will be very pleased! 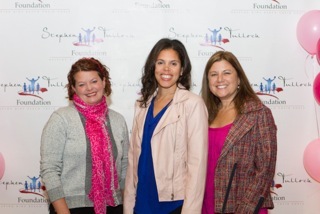 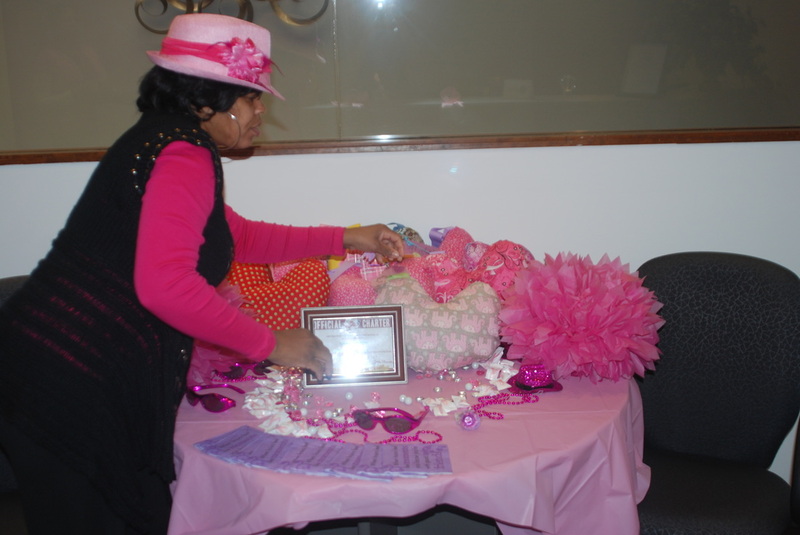 October 7, 2014 Mothers, Daughters, Sisters Friends Luncheon and Fashion Show. 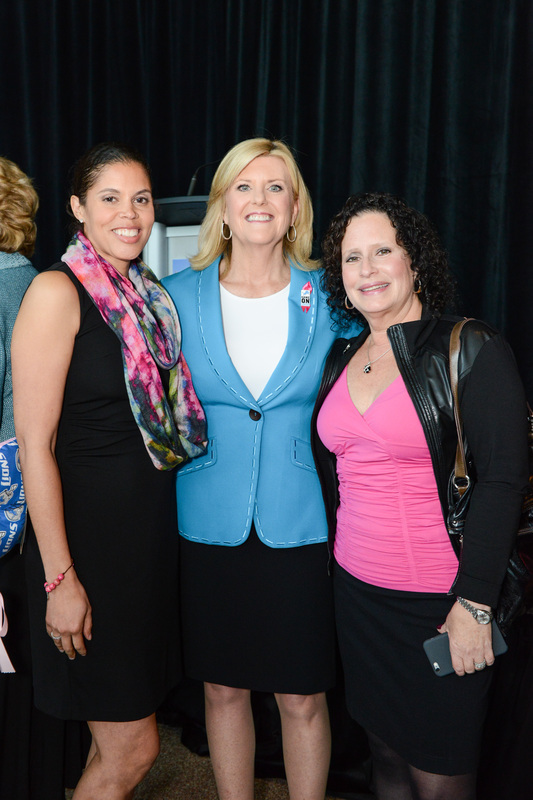 Over 300 guests joined Mothers, Daughters, Sisters and Friends in honoring breast cancer survivors at the 10th Annual Luncheon. 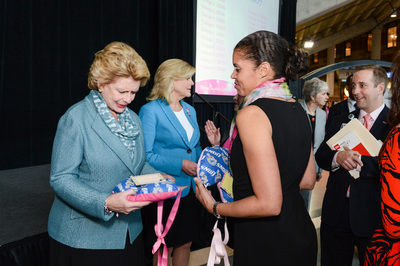 Anne Thompson, NBC News’ Chief Environmental Affairs correspondent, delivered a tear-jerking keynote address describing her battle with breast cancer. 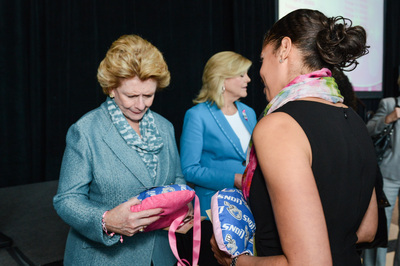 I also had the chance to meet Senator Debbie Stabenow who is also a breast cancer survivor and give her one of our angel pillows. 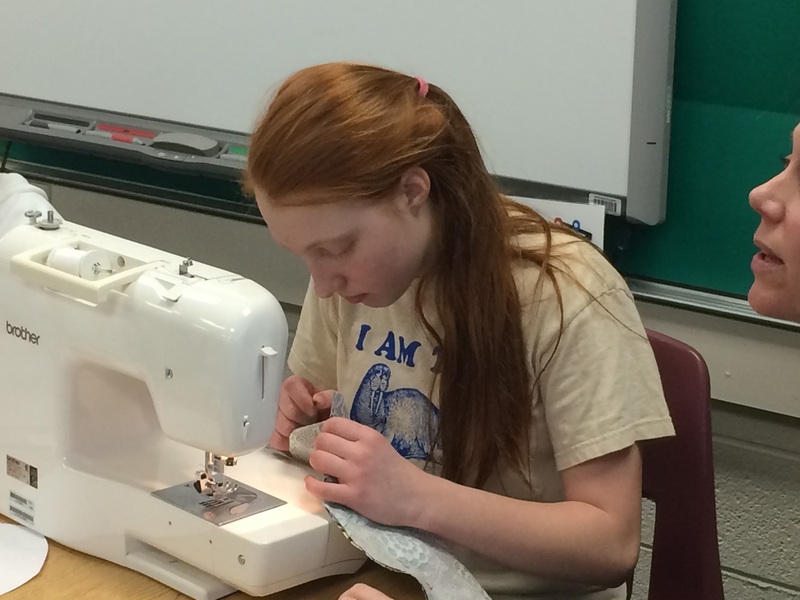 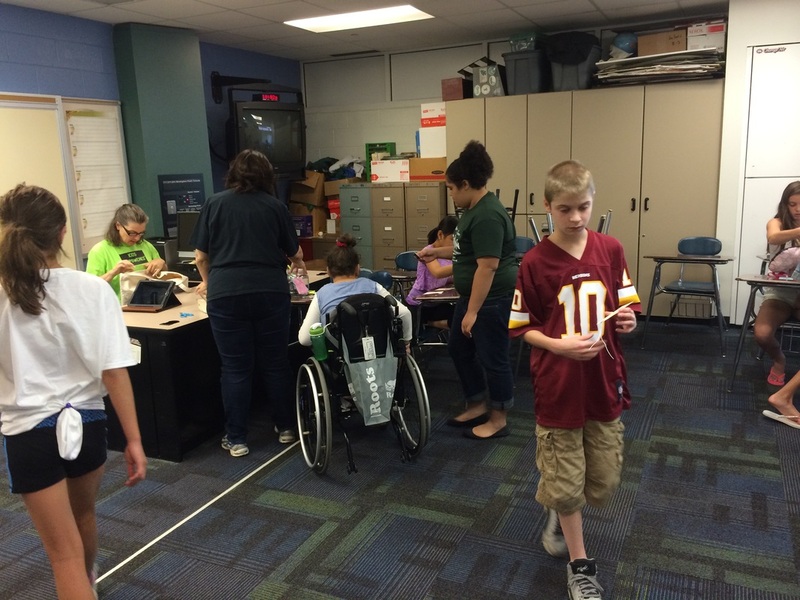 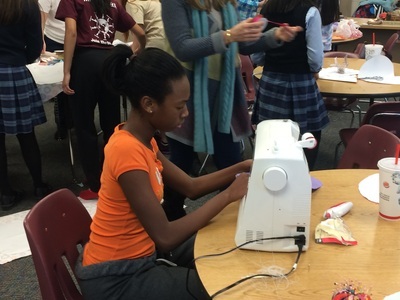 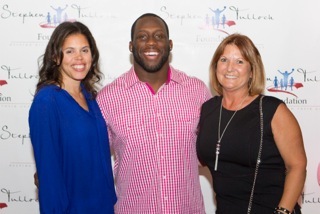 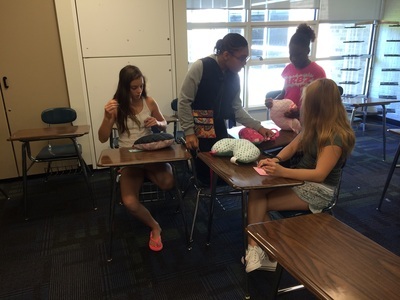 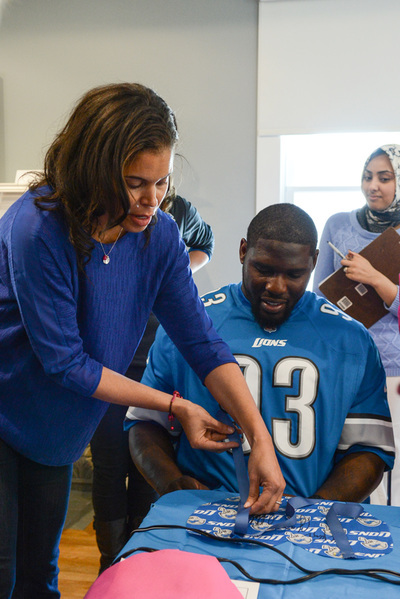 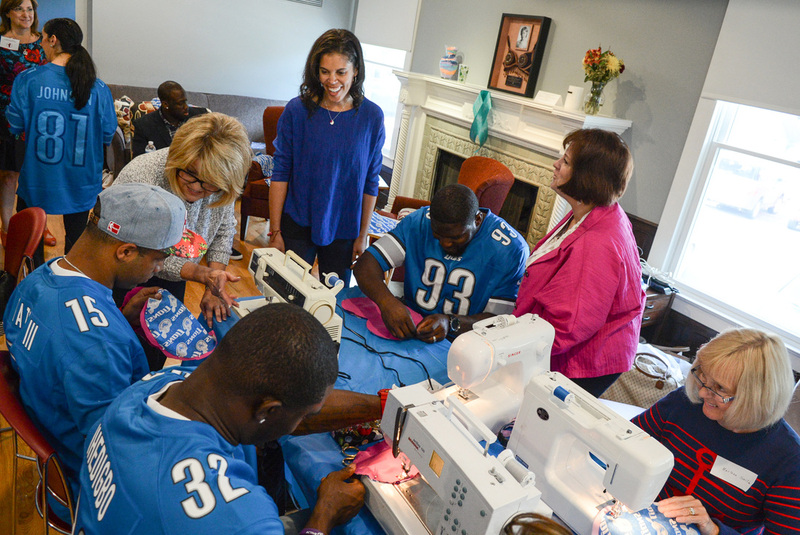 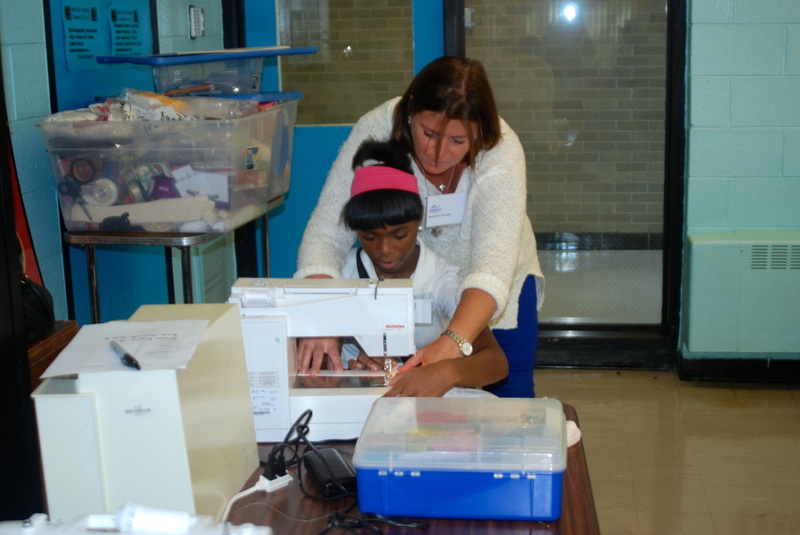 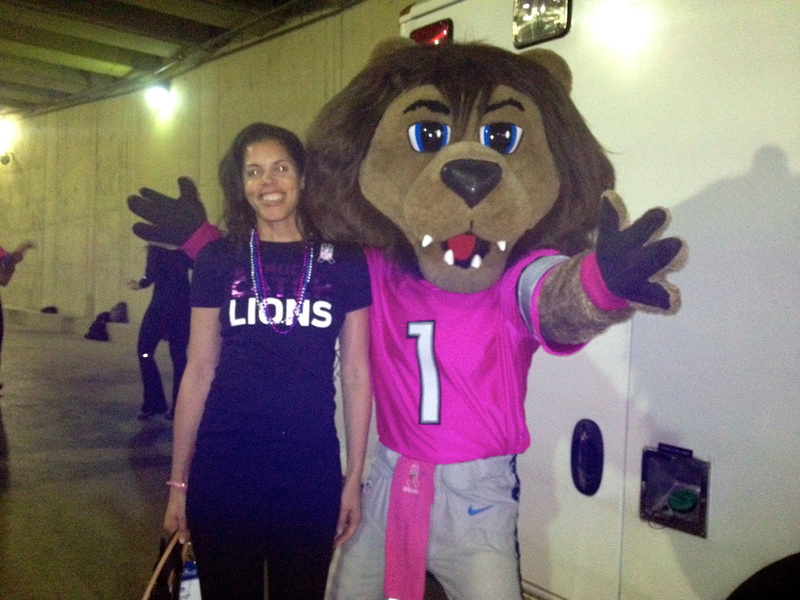 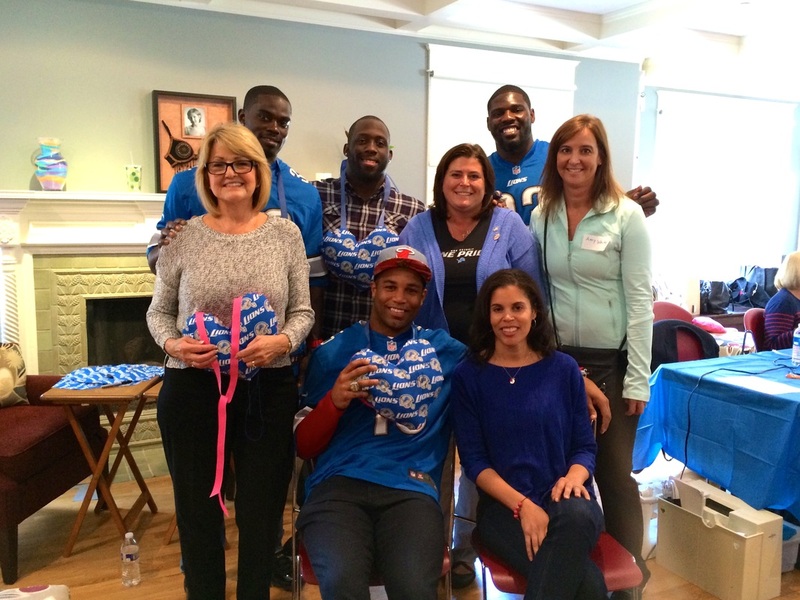 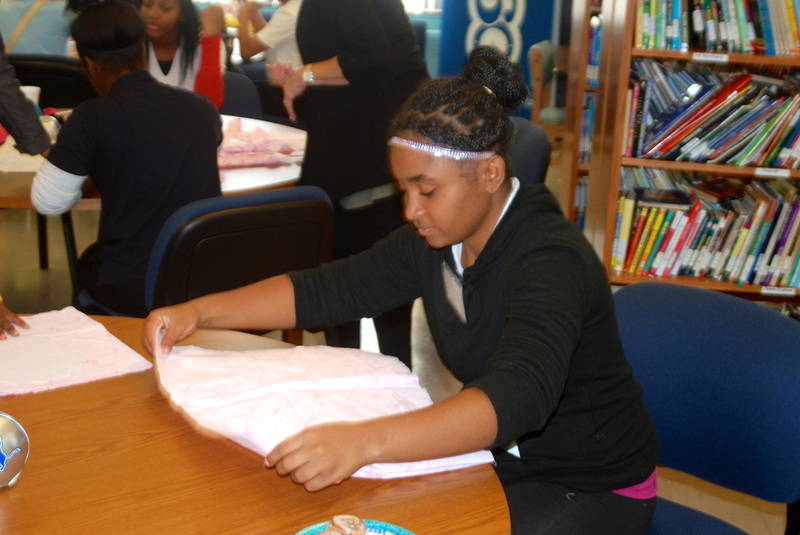 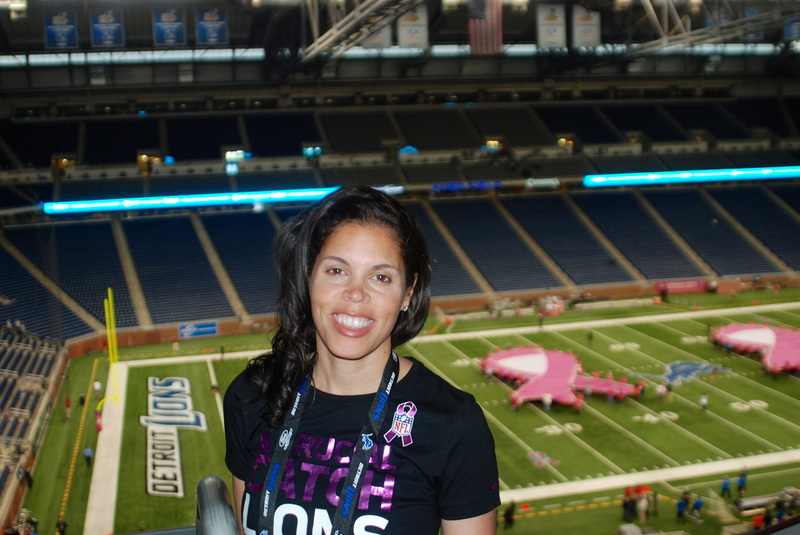 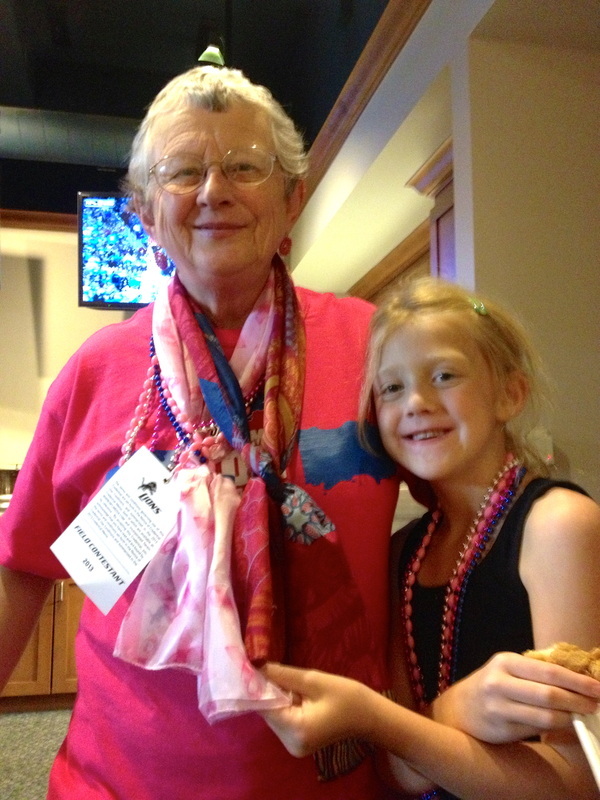 September 16, 2014 We had a great time sewing with the Detroit Lions players. 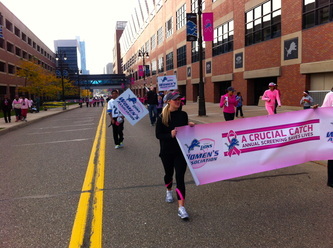 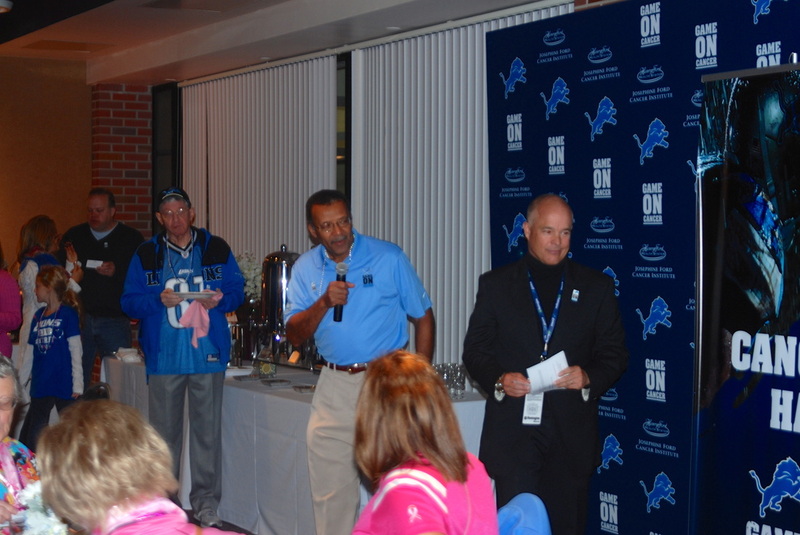 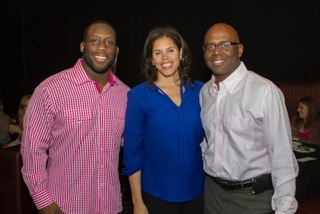 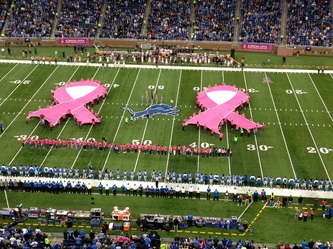 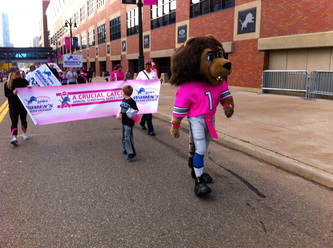 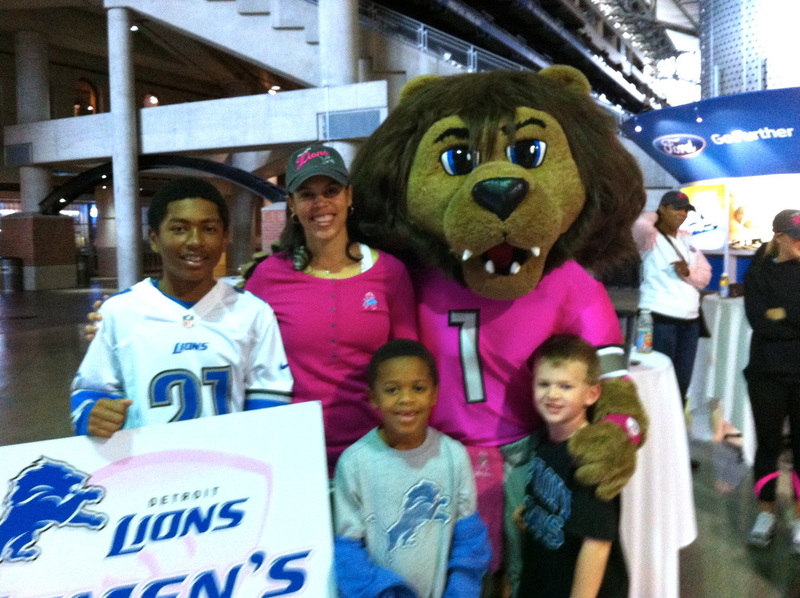 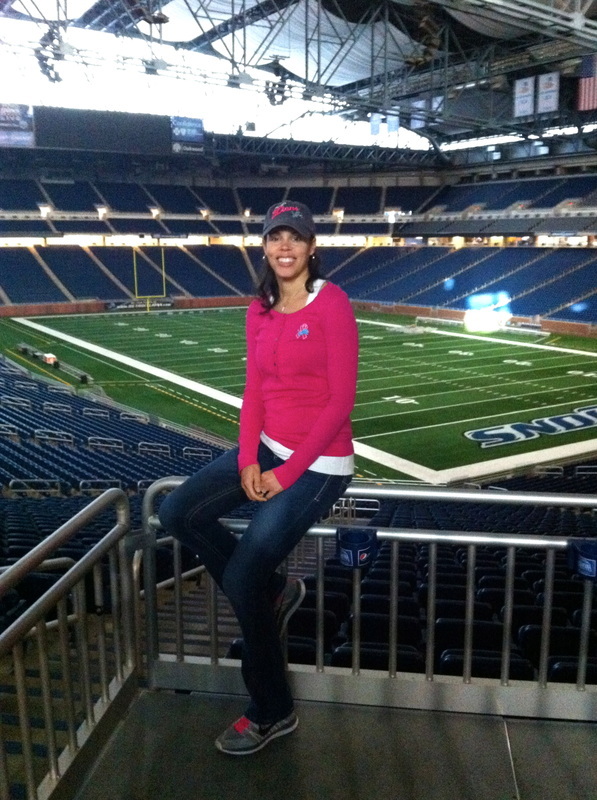 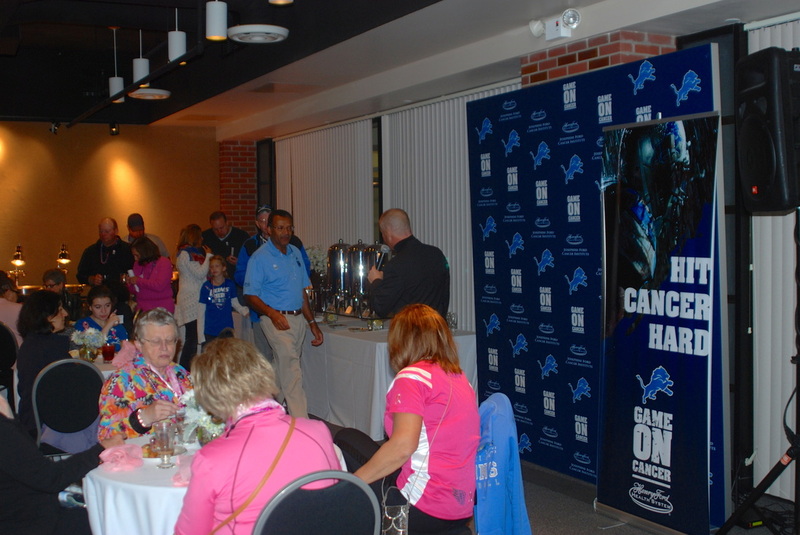 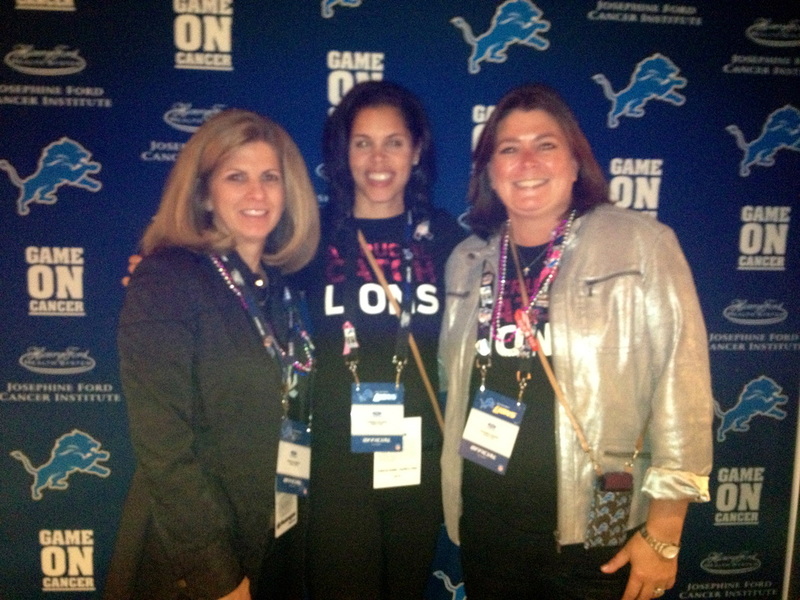 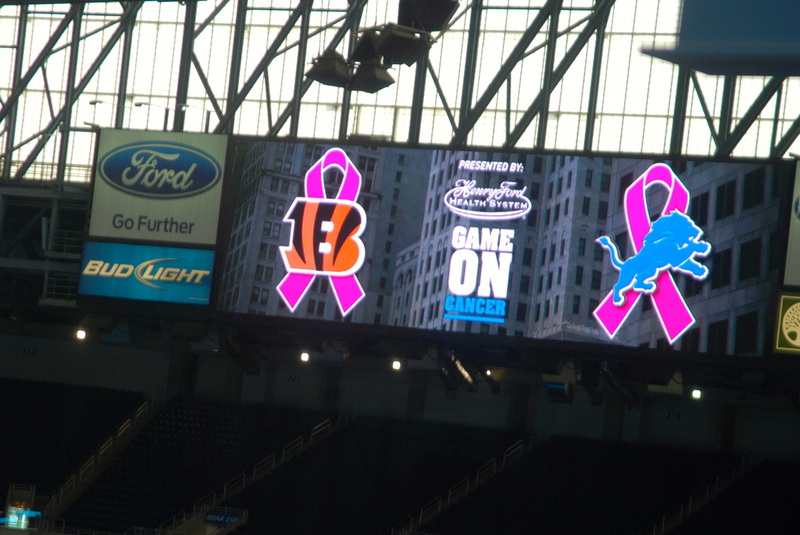 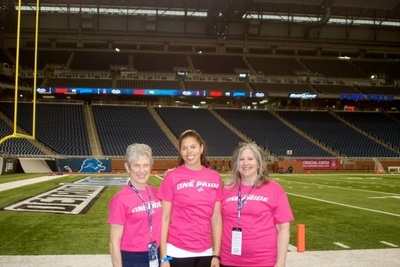 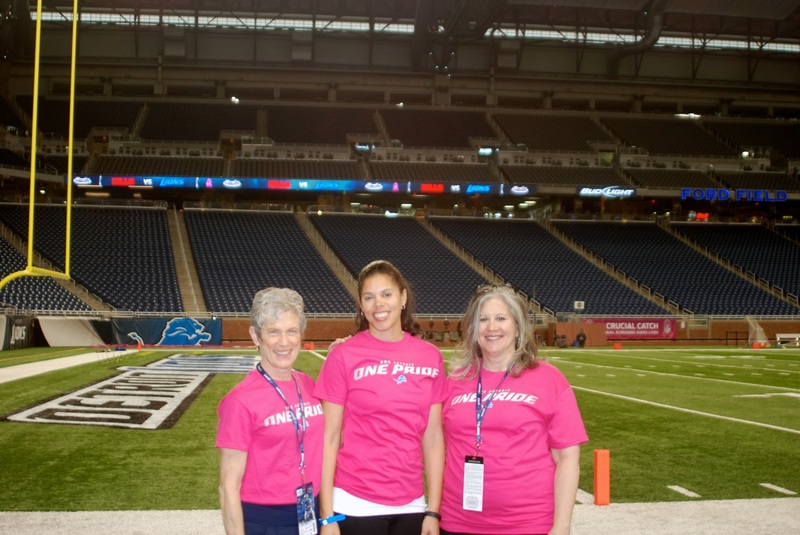 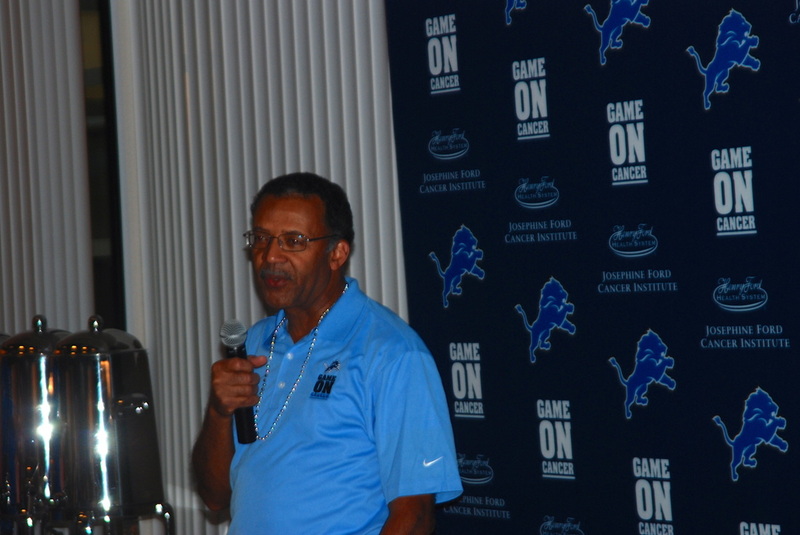 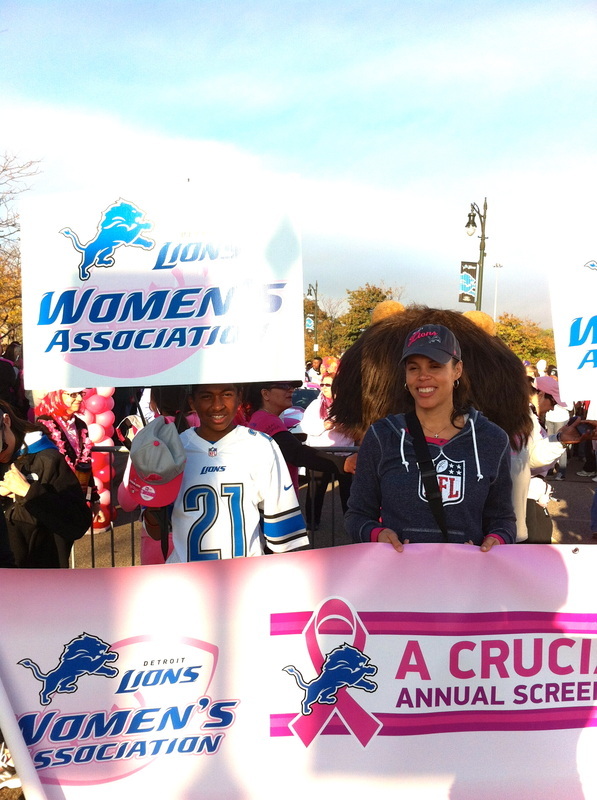 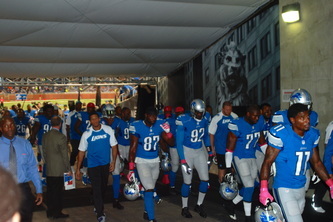 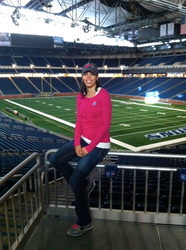 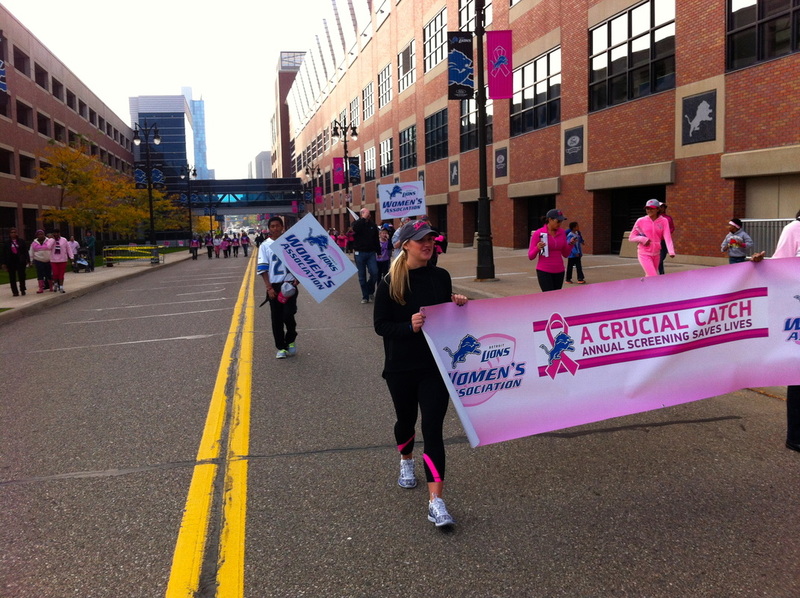 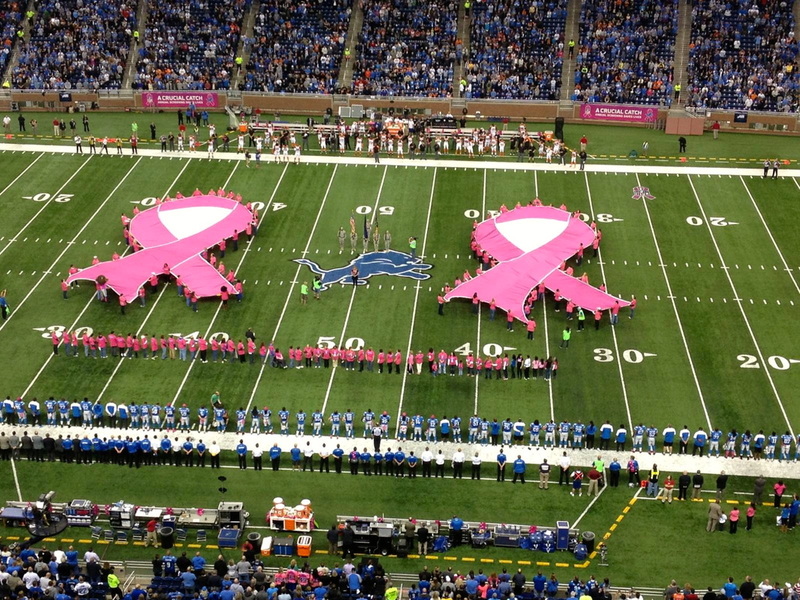 The Detroit Lions continues to be a partner and support for our program. 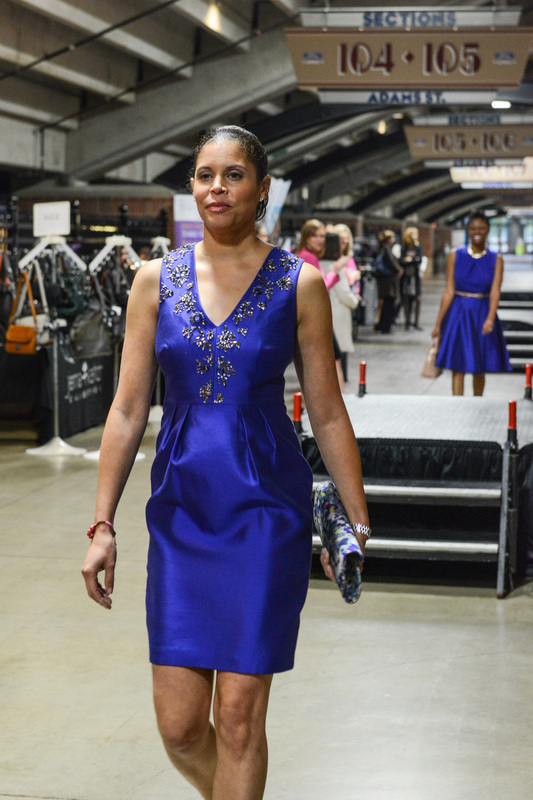 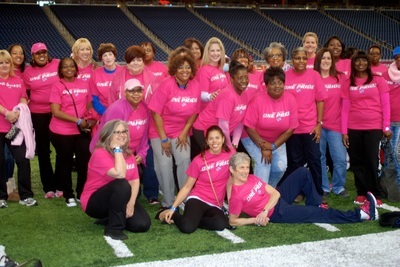 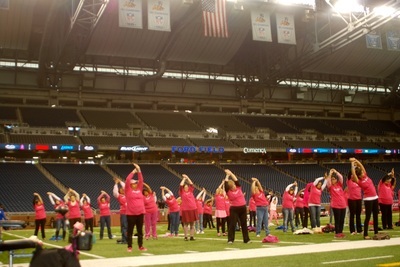 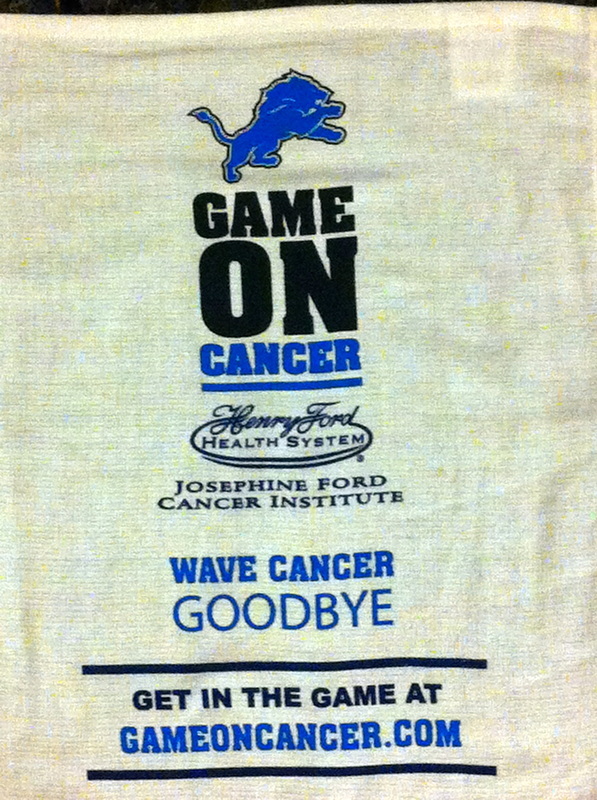 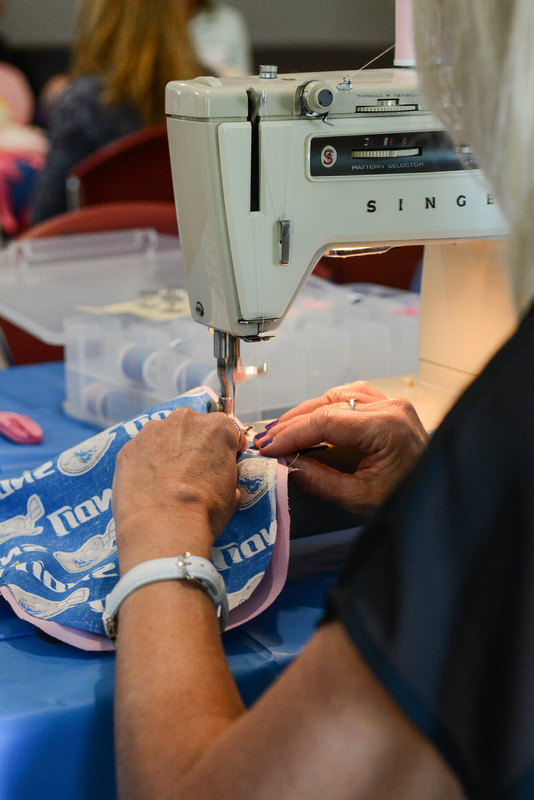 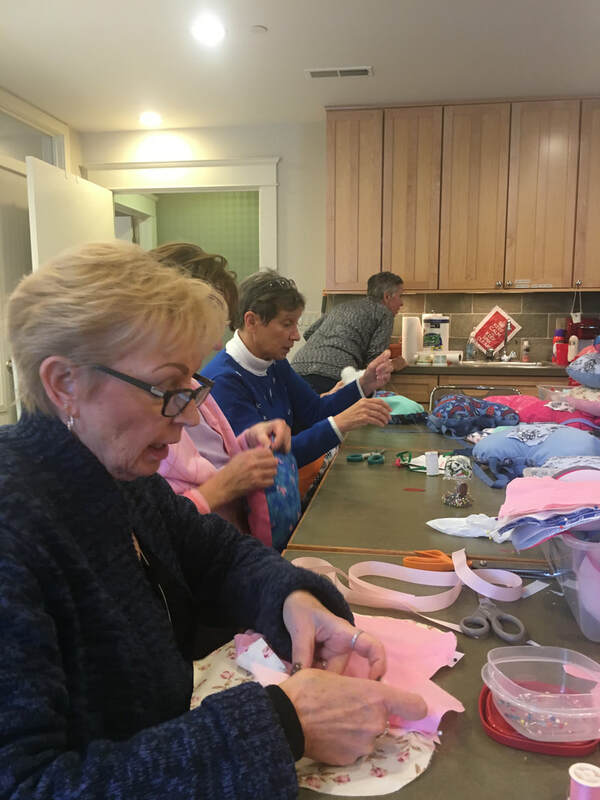 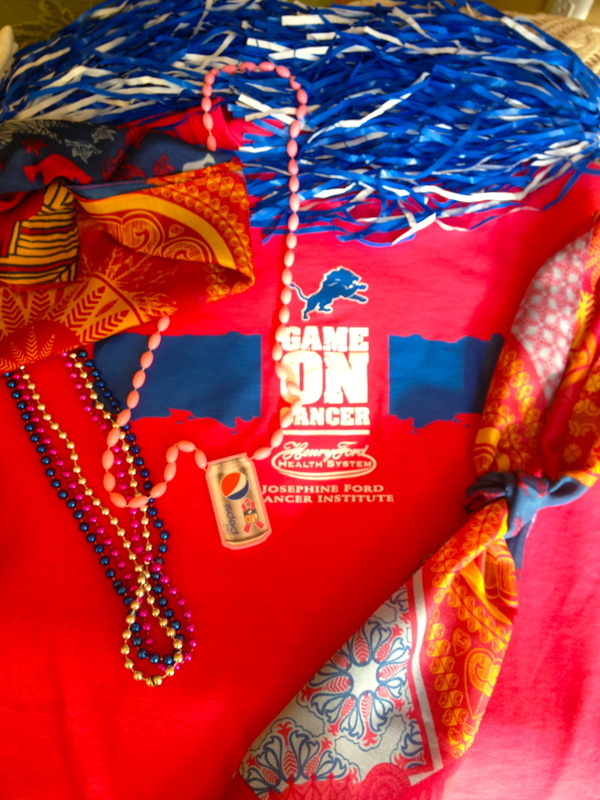 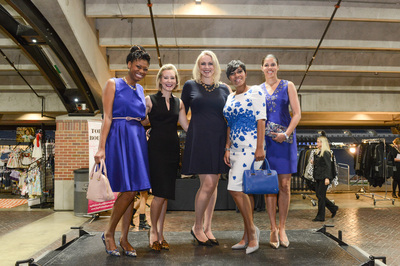 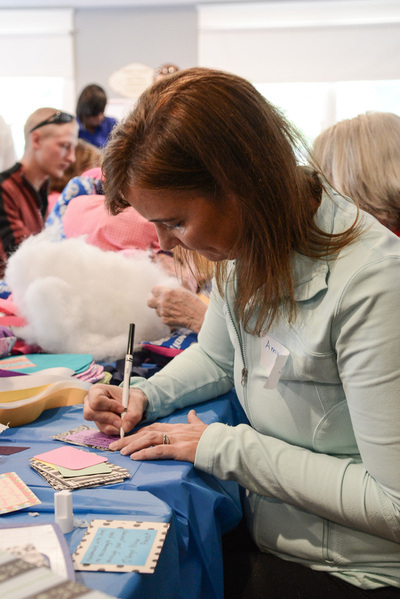 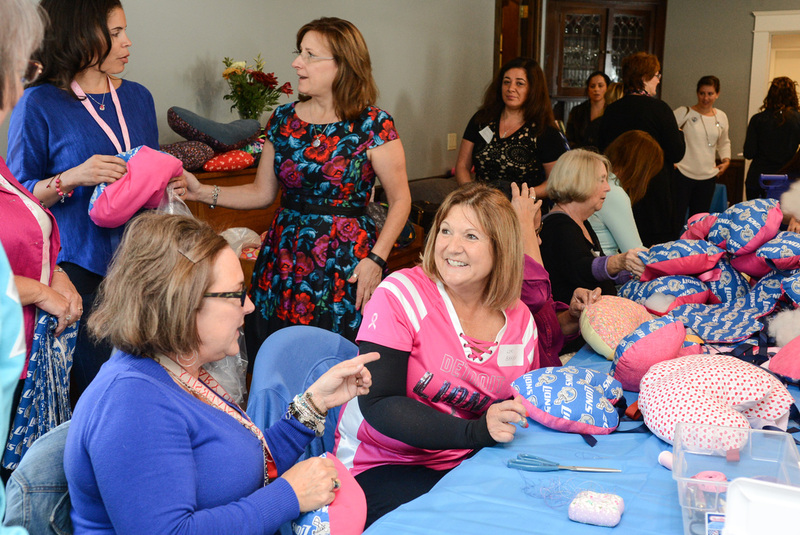 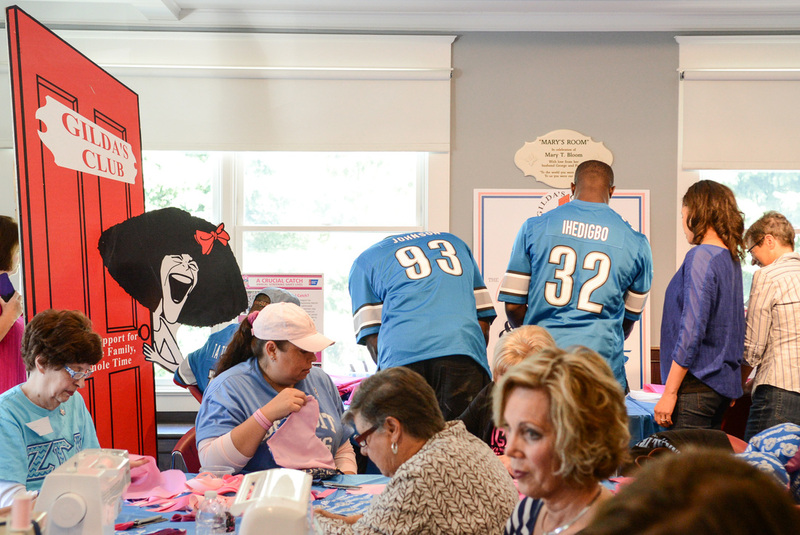 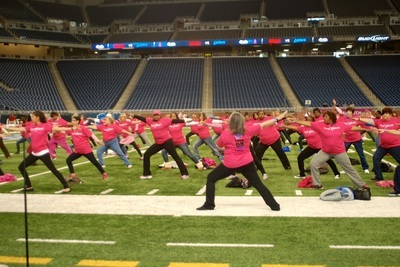 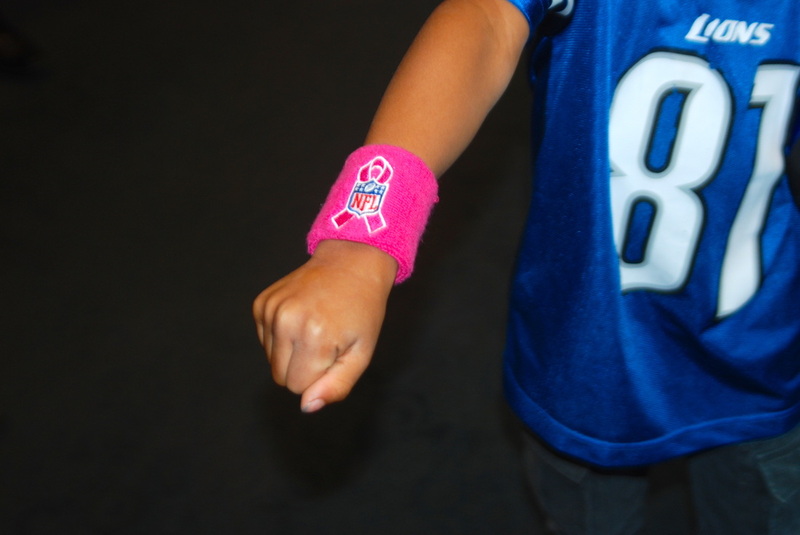 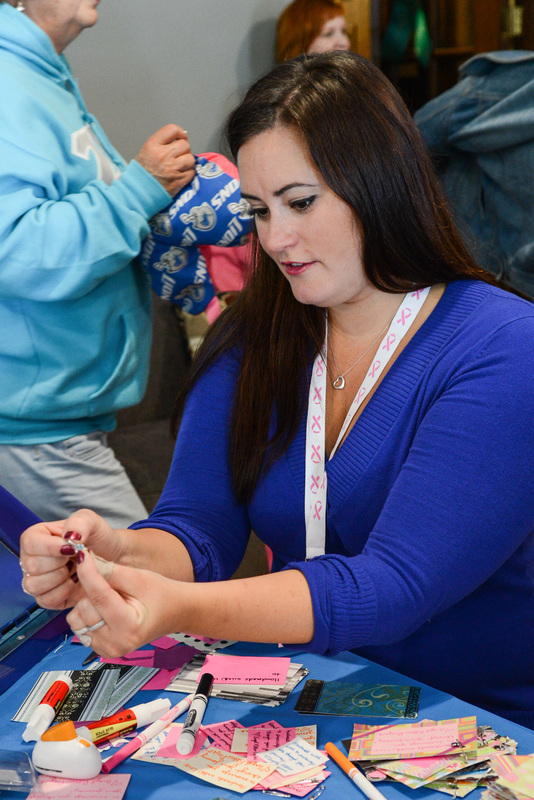 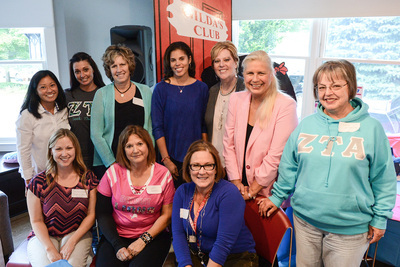 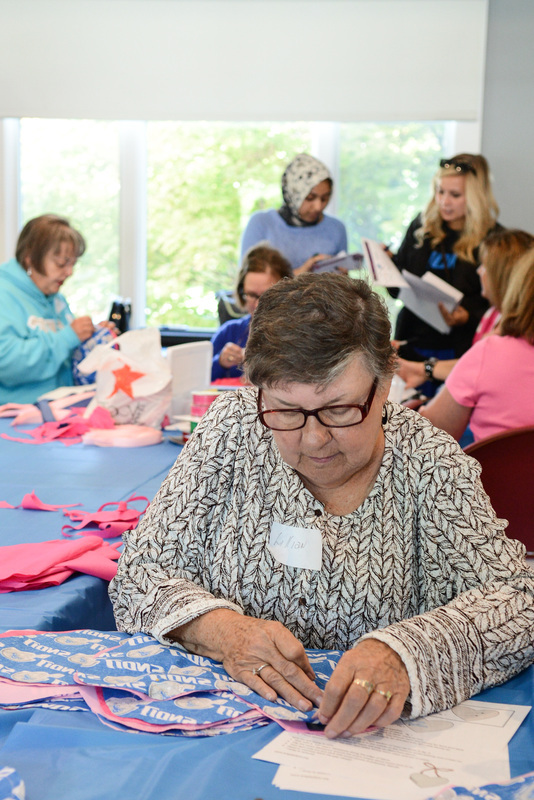 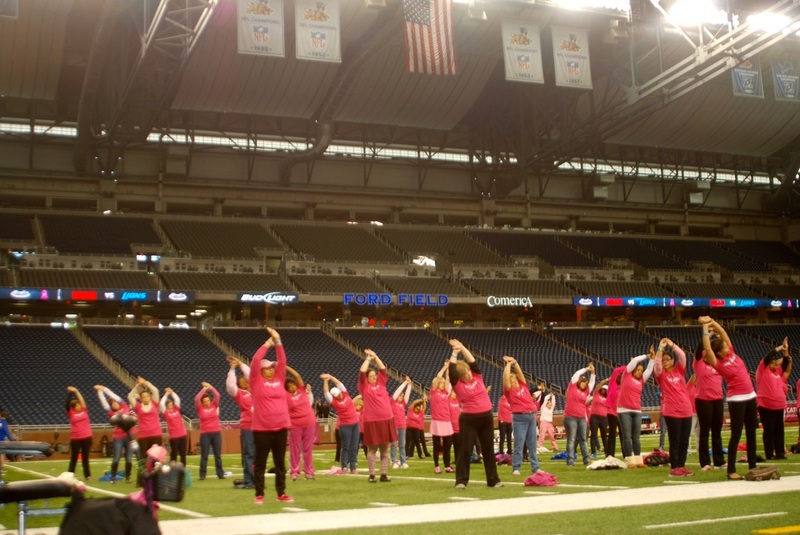 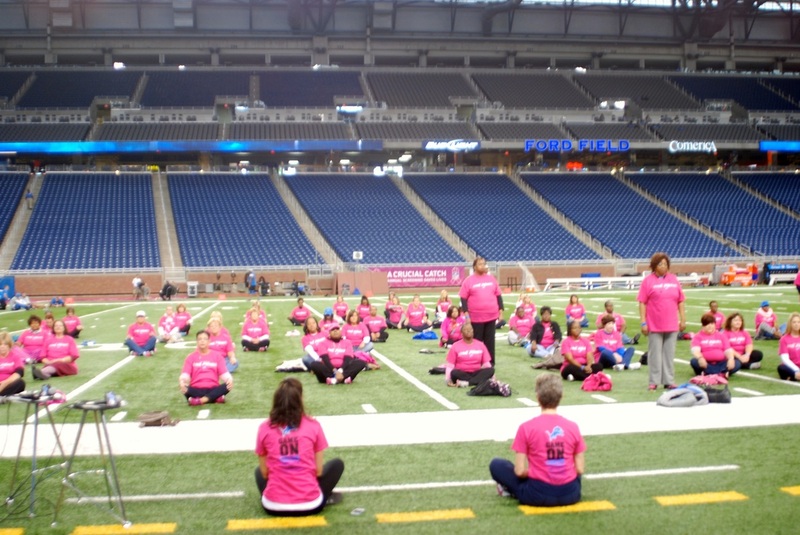 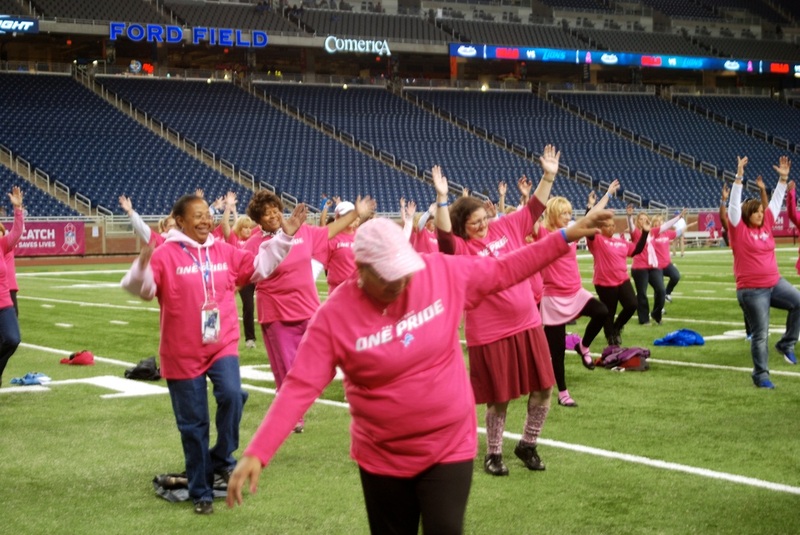 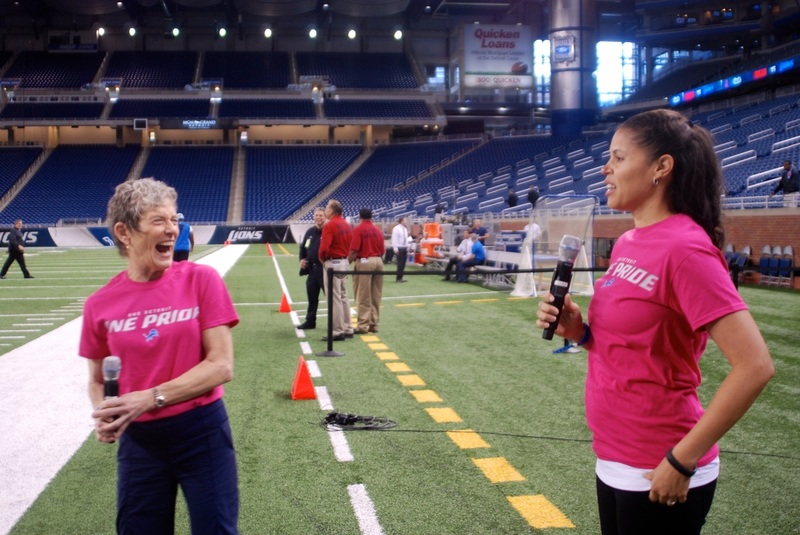 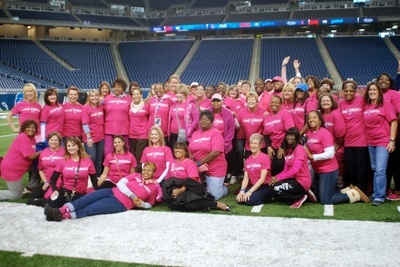 We had a huge sewing event with the Detroit Lions players and wives in attendance, members from the American Cancer Society and Henry Ford Hospital's Game On Cancer campaign. 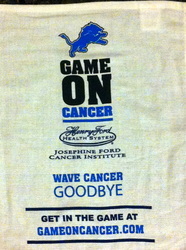 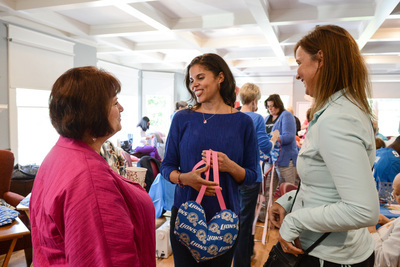 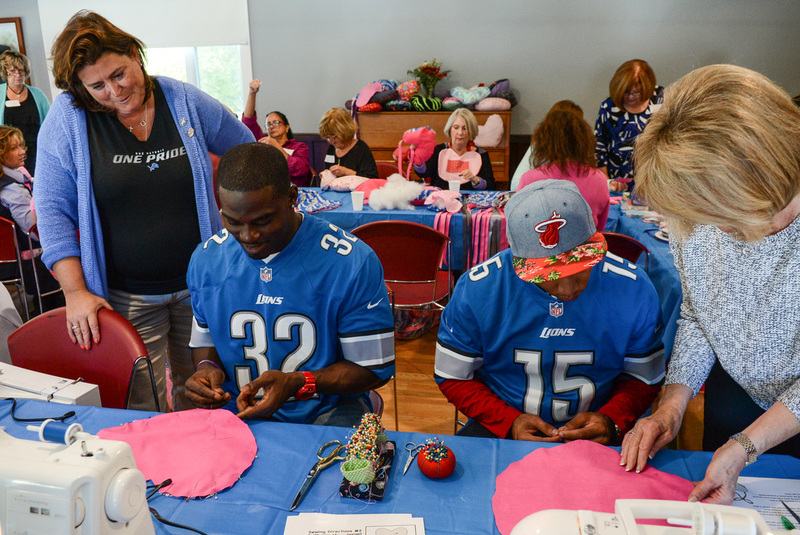 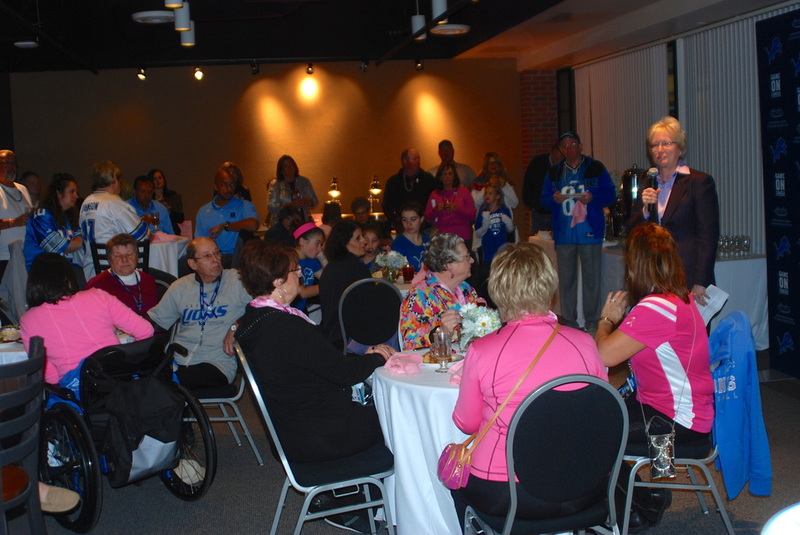 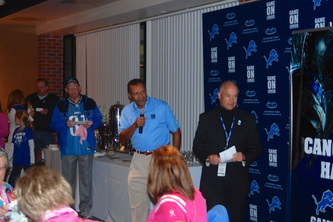 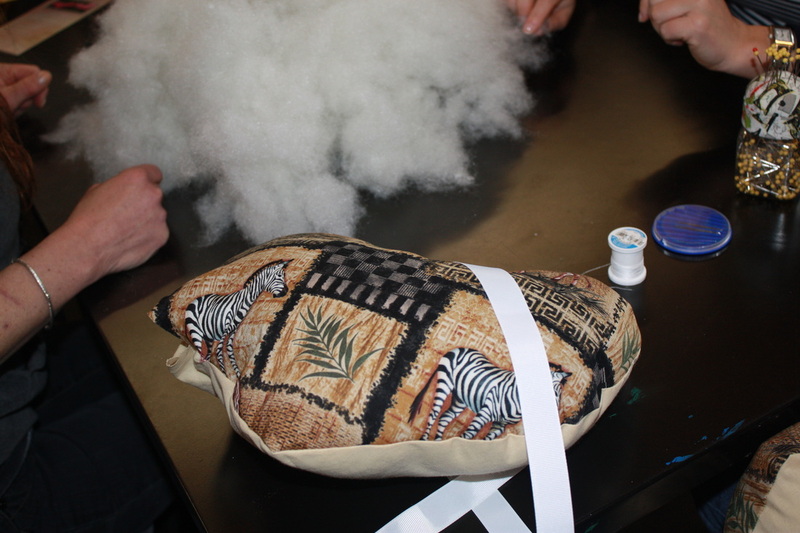 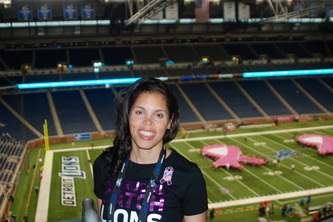 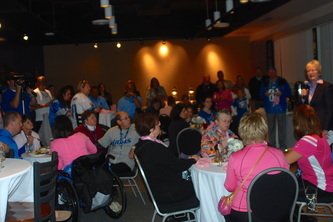 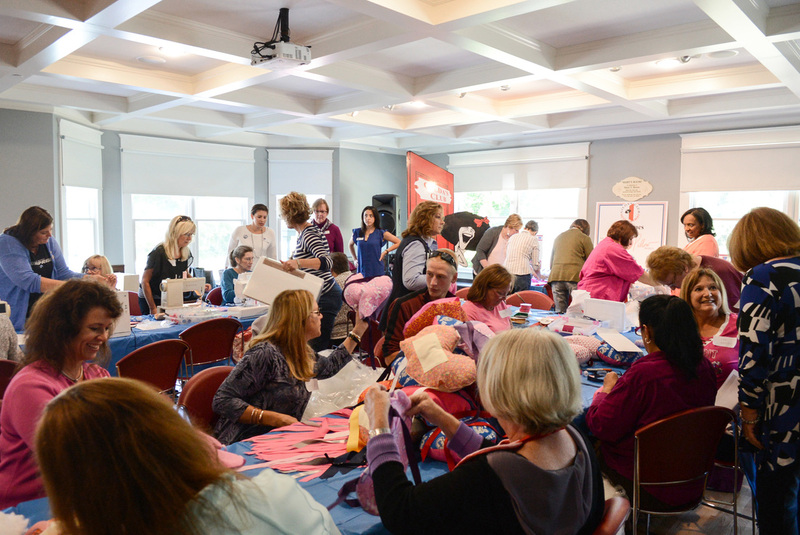 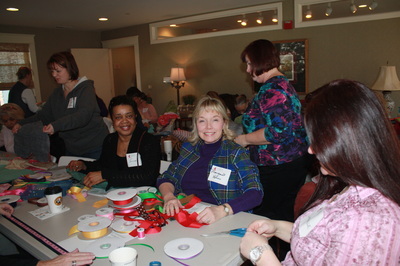 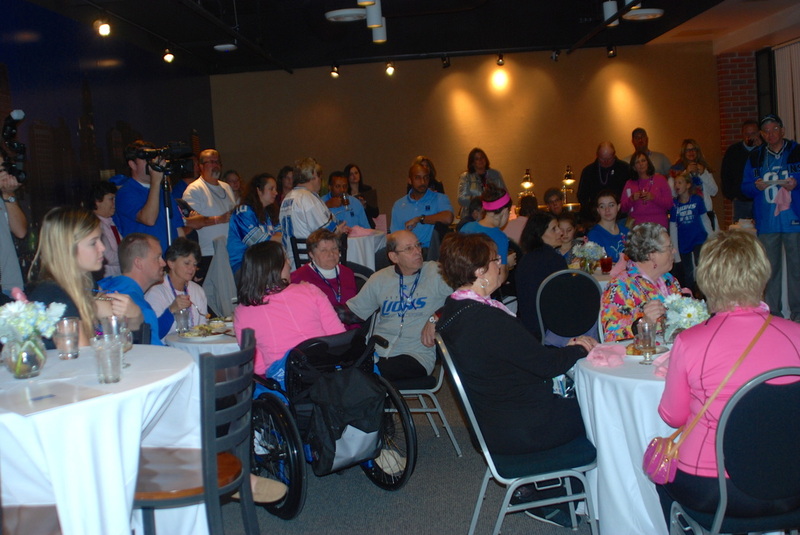 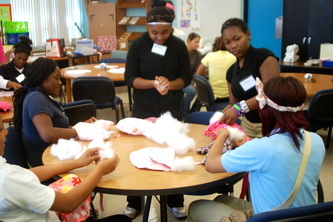 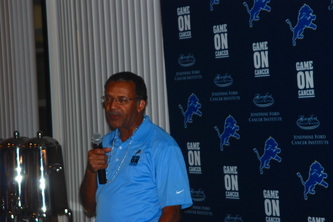 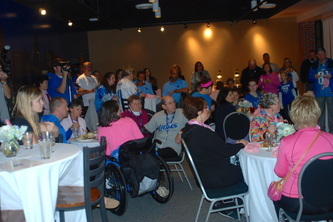 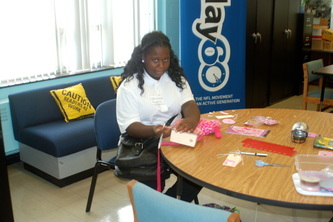 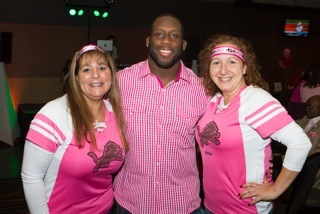 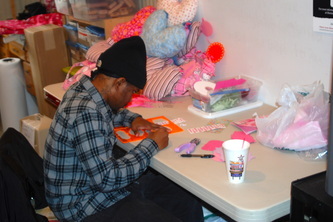 It was a huge success and the Lions players had a great time talking with the ladies and learning to sew angel pillows. 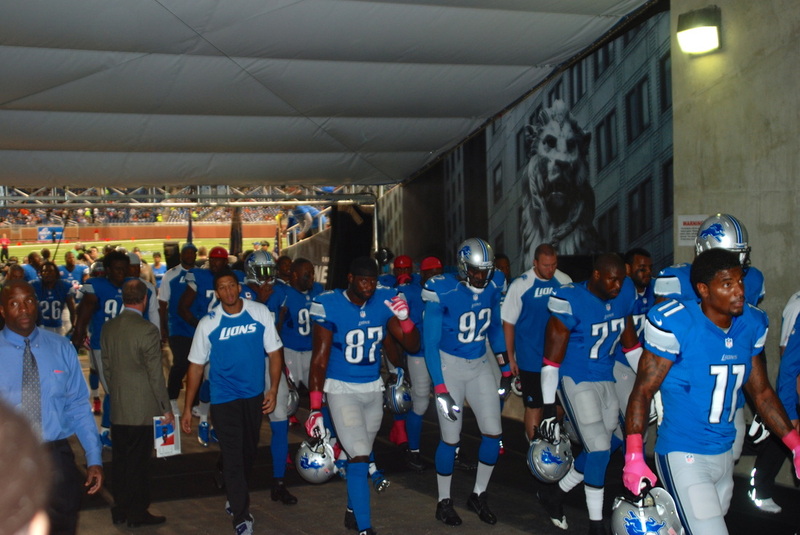 September 4, 2014. 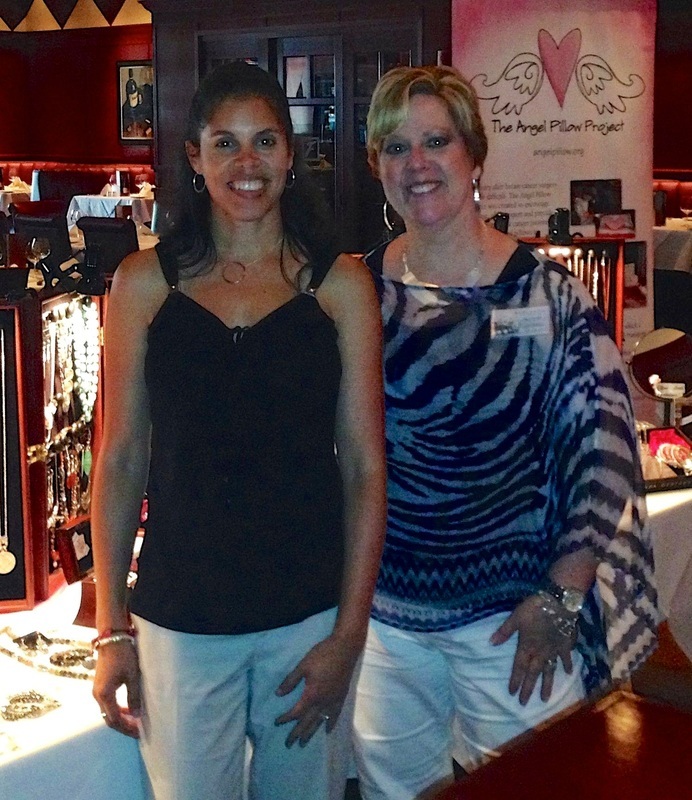 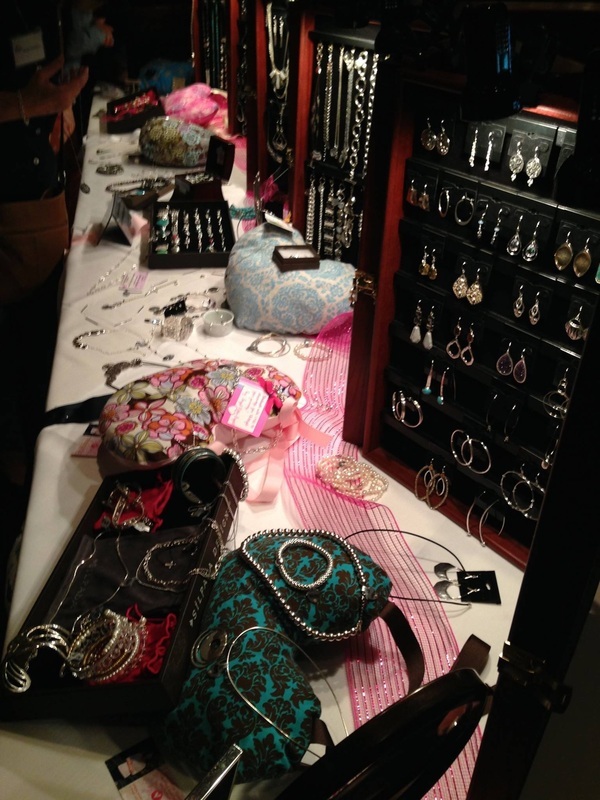 Silpada fundraiser. 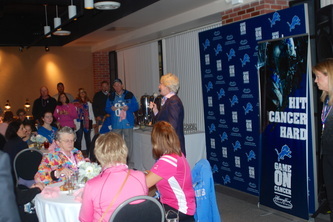 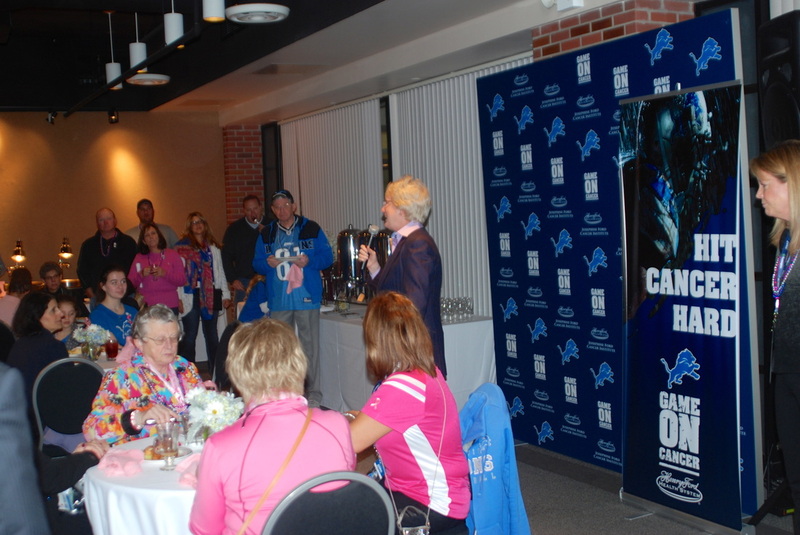 I had the pleasure of joining up with Sue Johnston to do an Angel Pillow fundraiser at the Detroit Lions Women's kickoff luncheon. 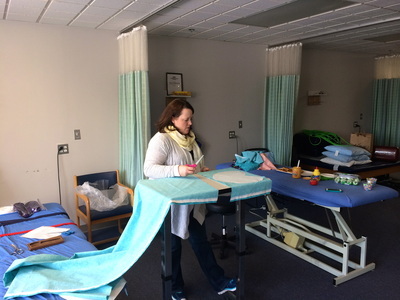 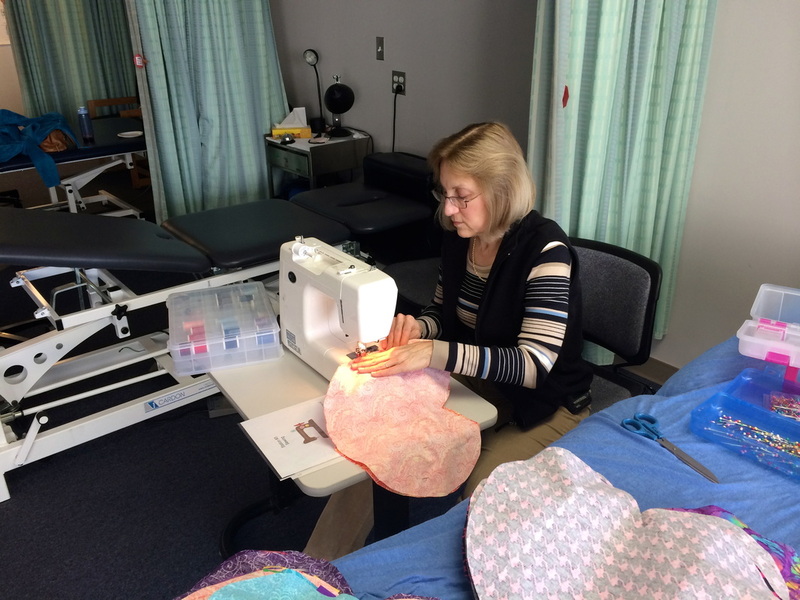 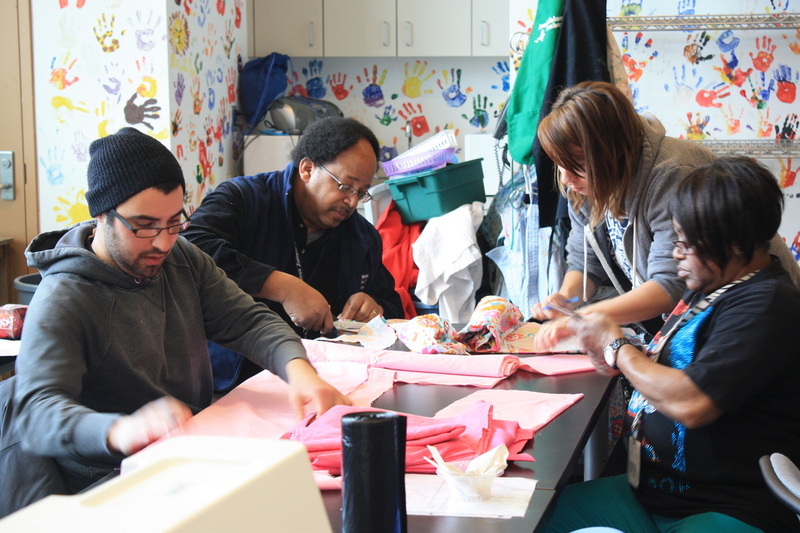 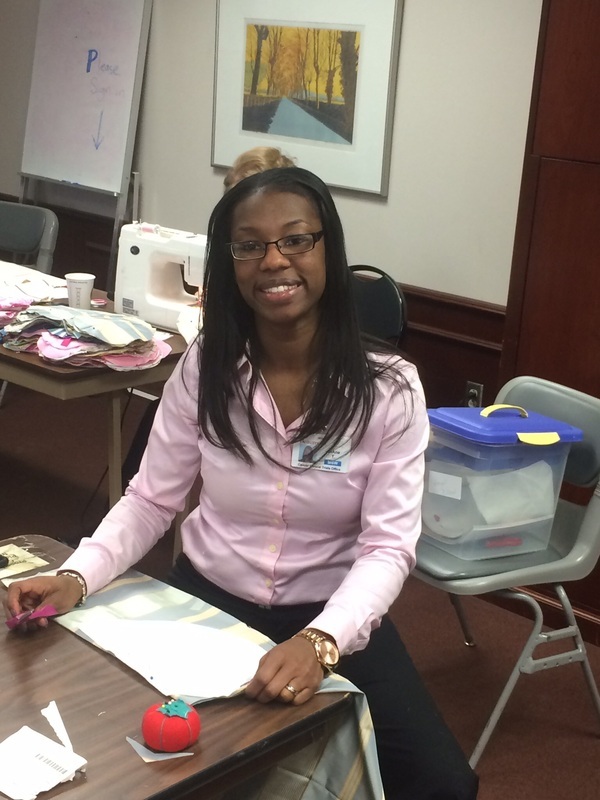 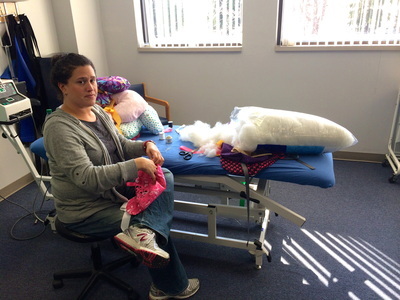 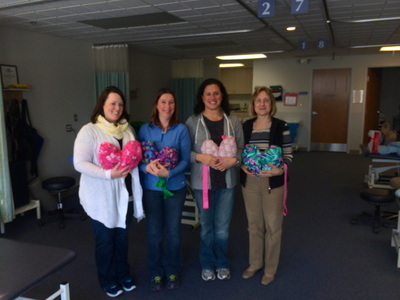 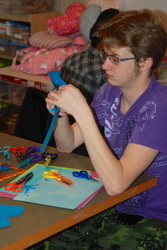 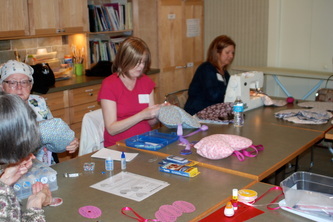 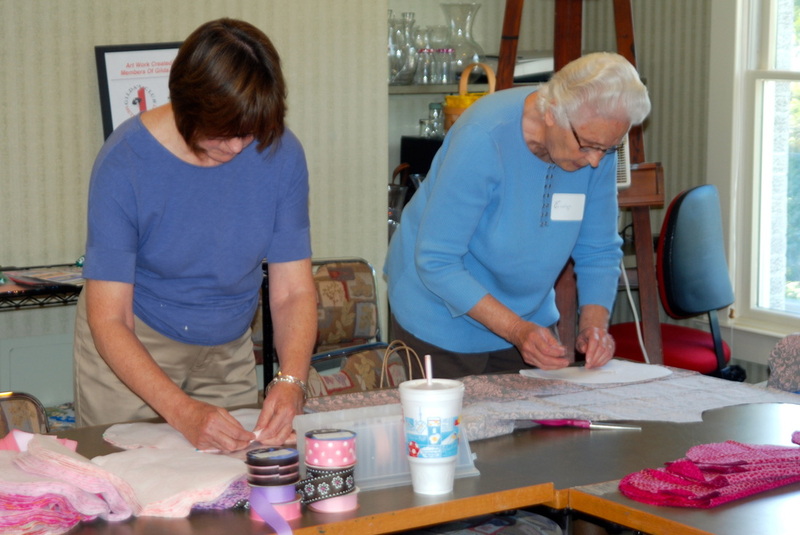 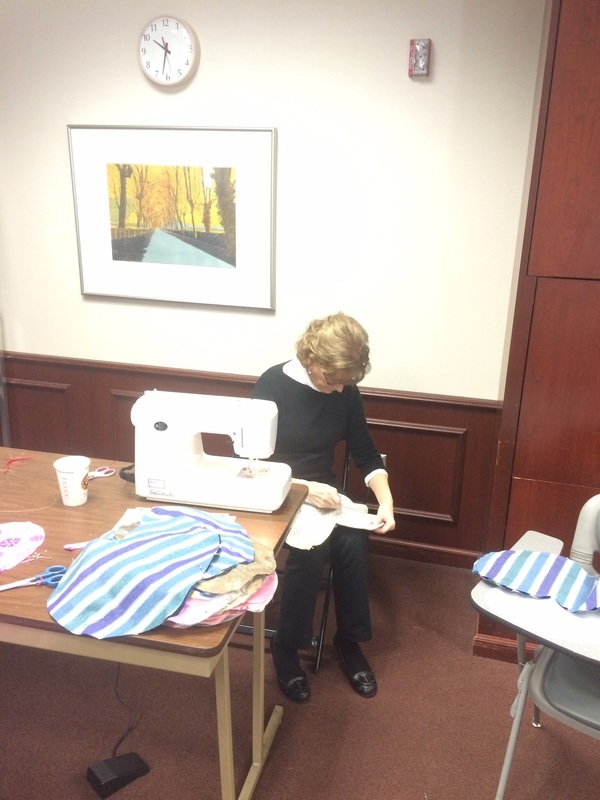 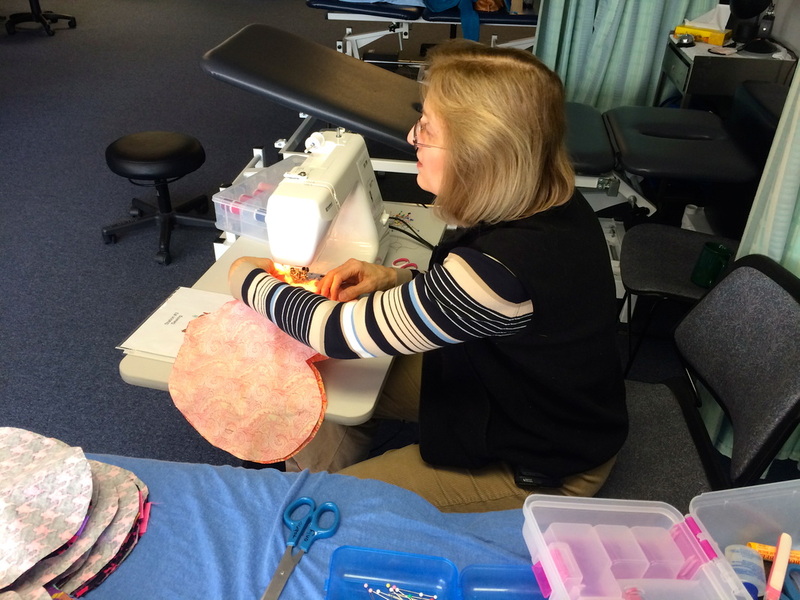 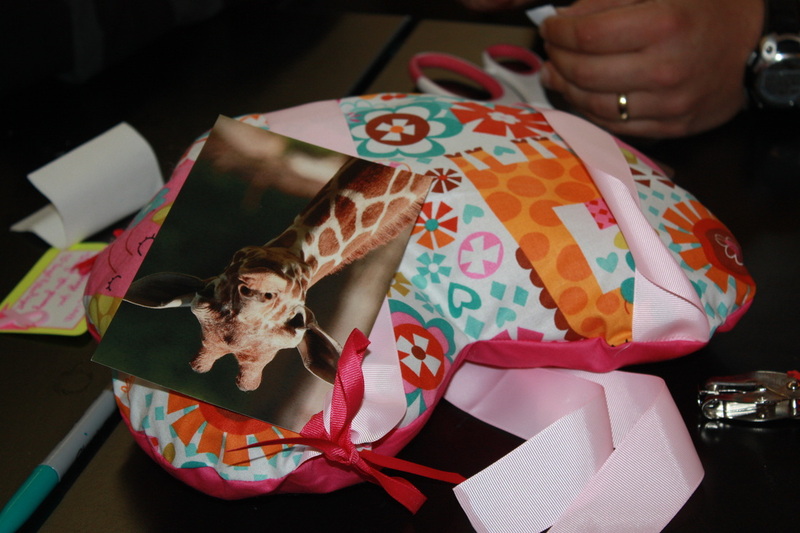 3-14-2014 The Detroit Medical Center Rehab facility in Novi hosted a sewing event on site. 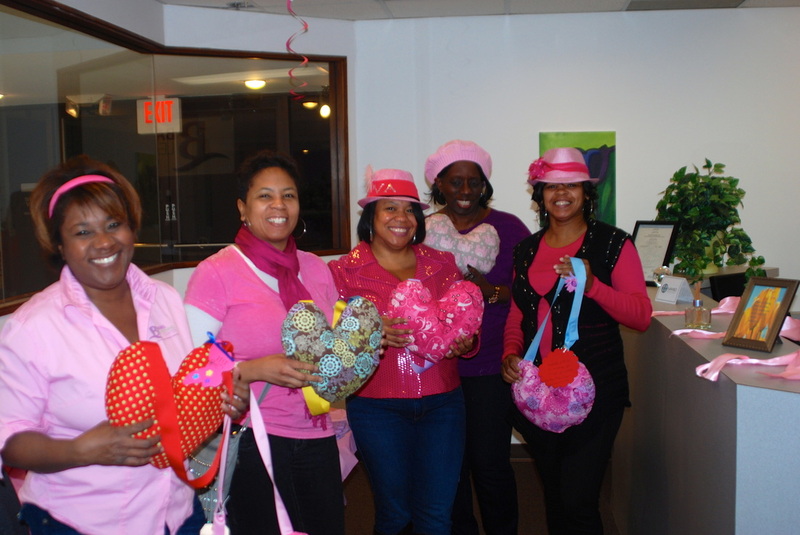 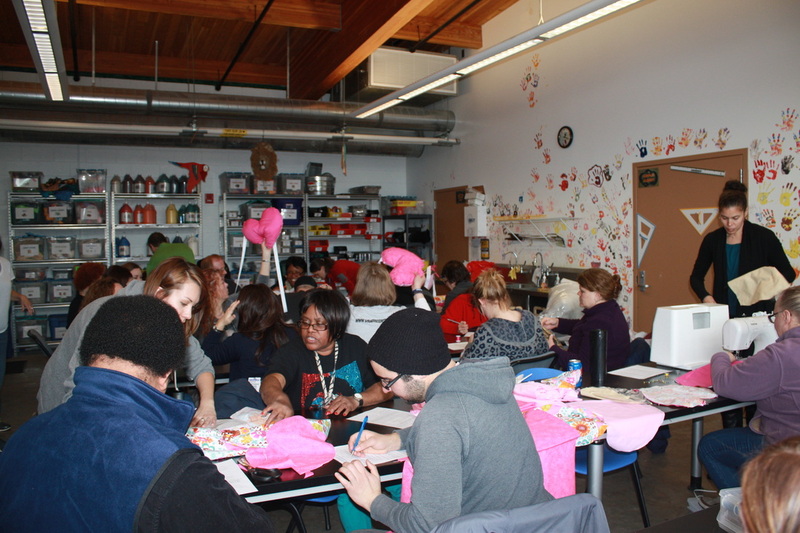 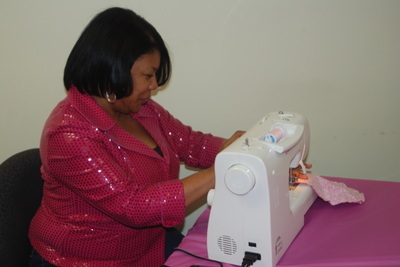 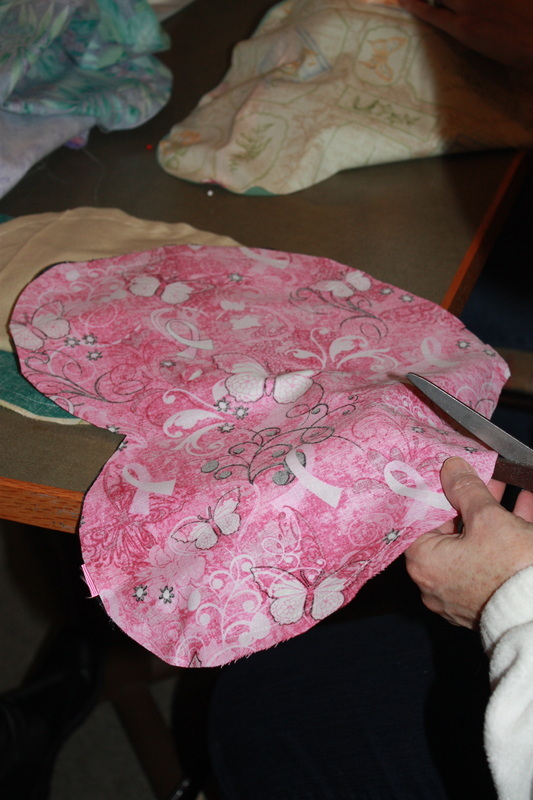 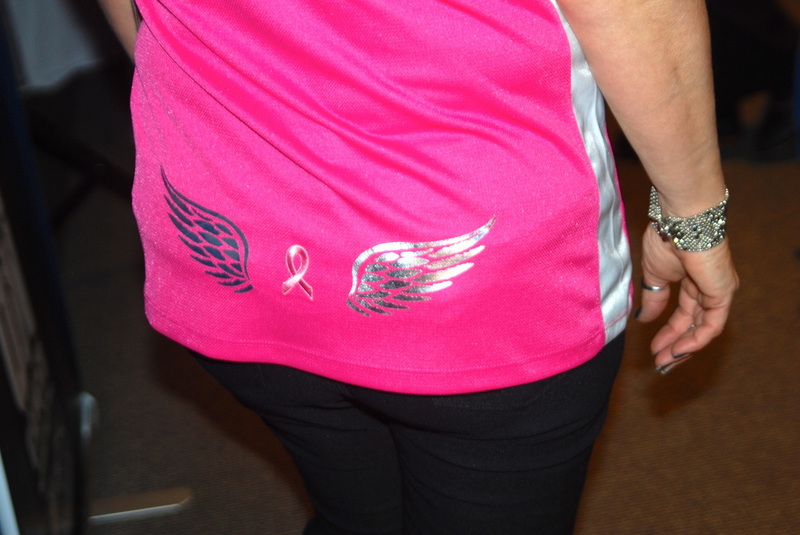 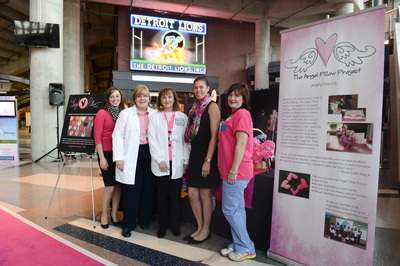 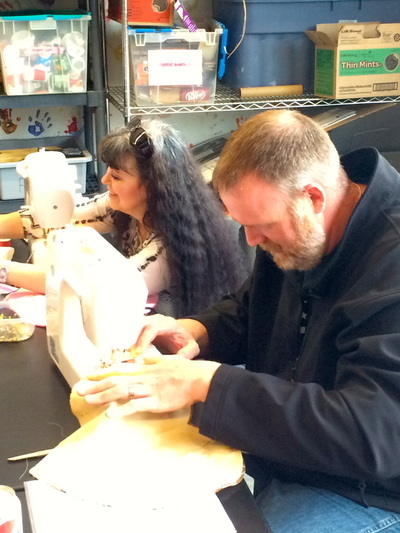 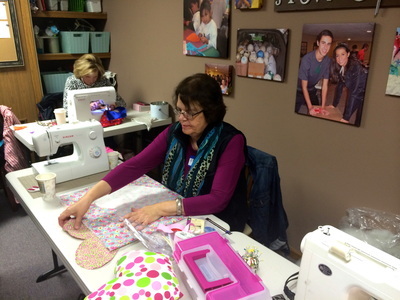 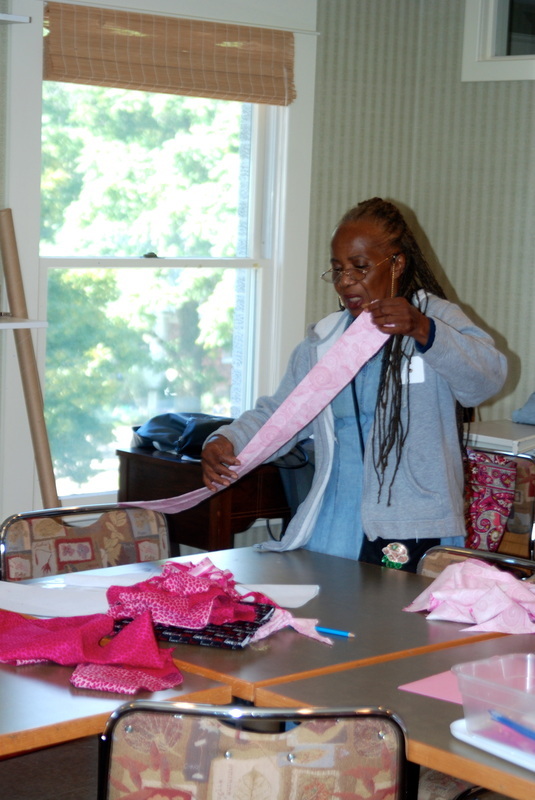 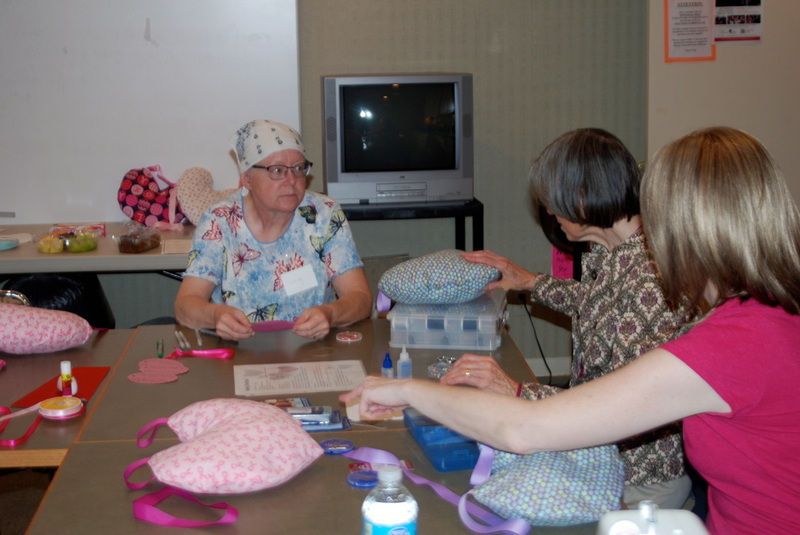 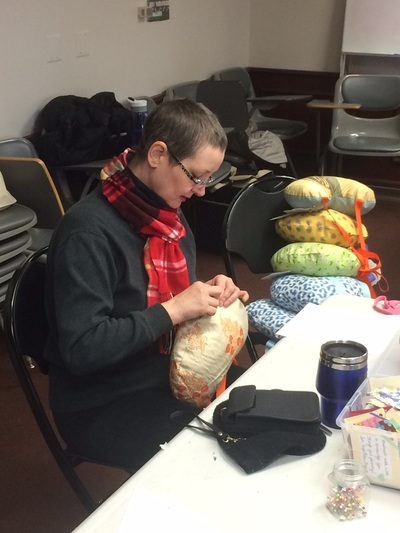 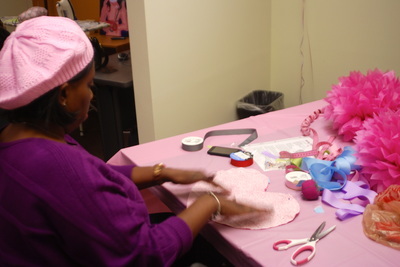 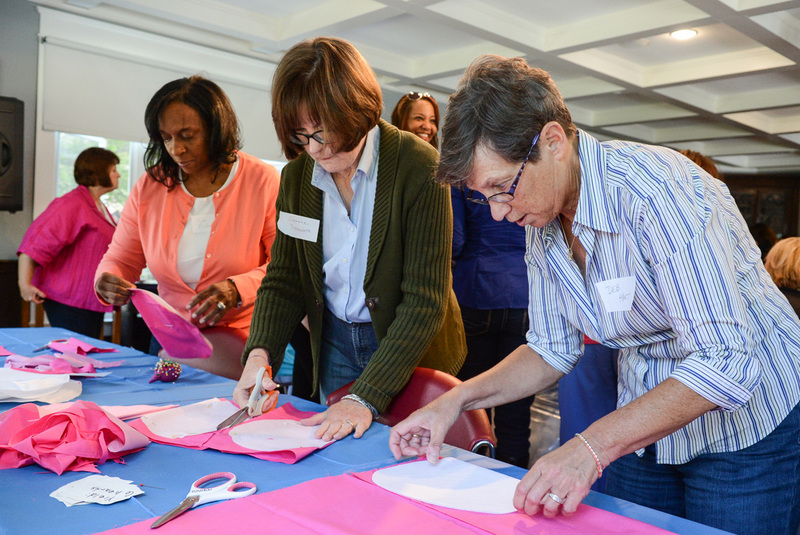 2-3-2014 - The Detroit Garment Group Guild sews along side breast cancer survivors at sewing event this month. 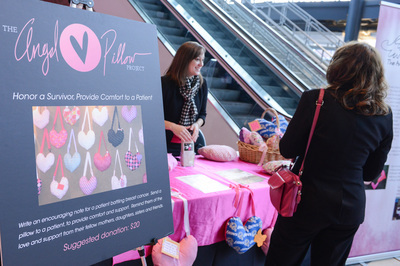 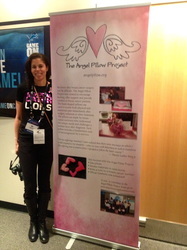 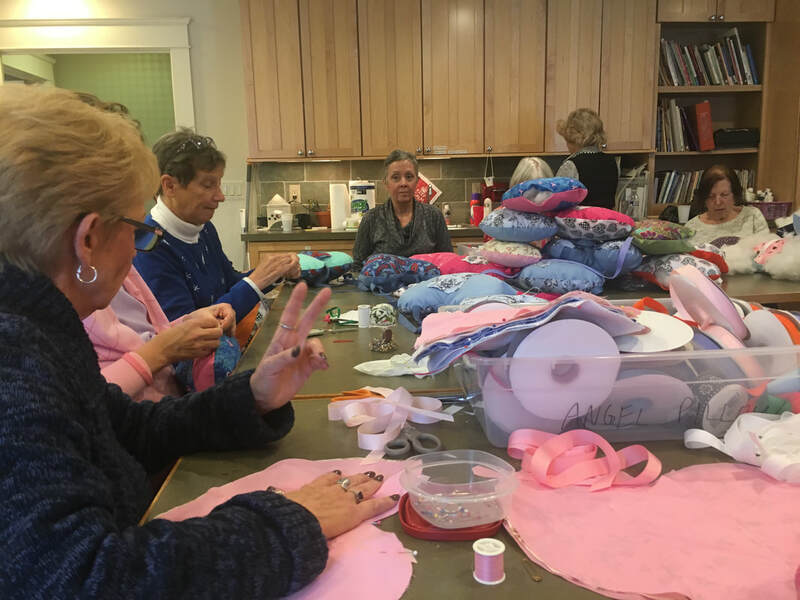 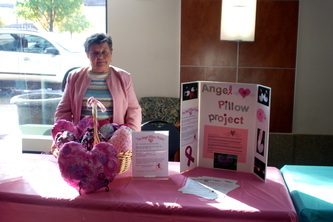 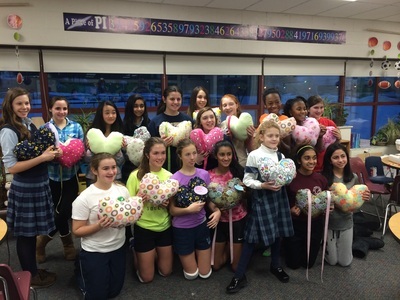 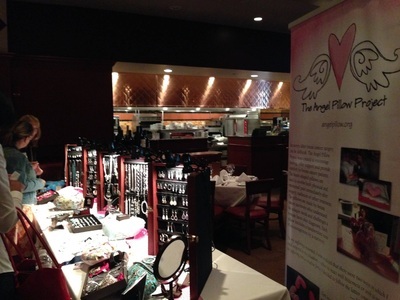 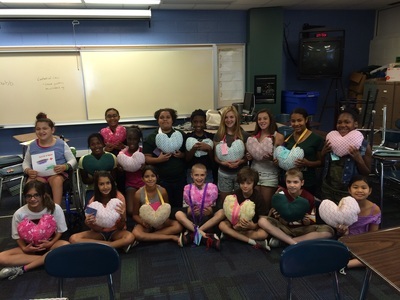 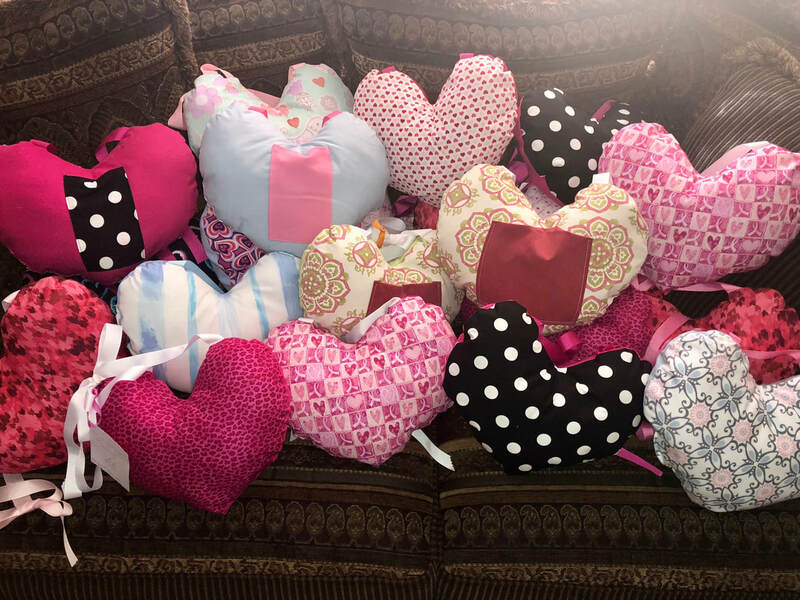 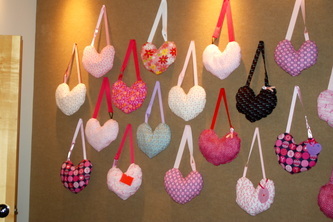 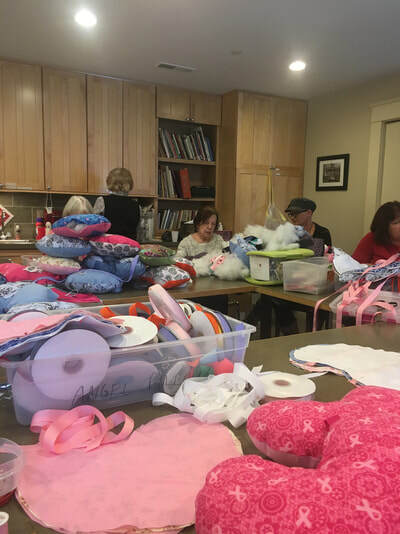 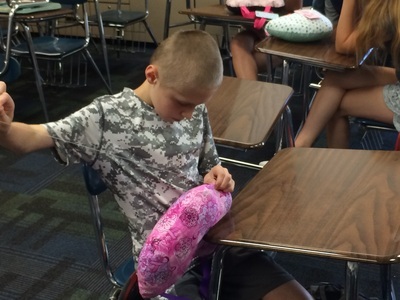 Over 160 pillows were made that day which is a new record for the Angel Pillow Project. 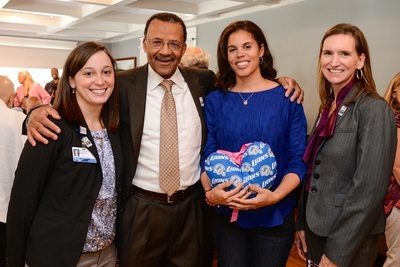 Participating designers at the event worked to create their own unique signature pillows that will be voted on later and displayed at local hospitals. 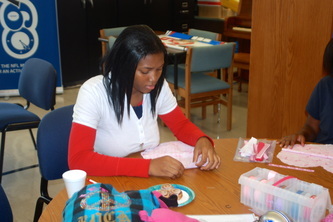 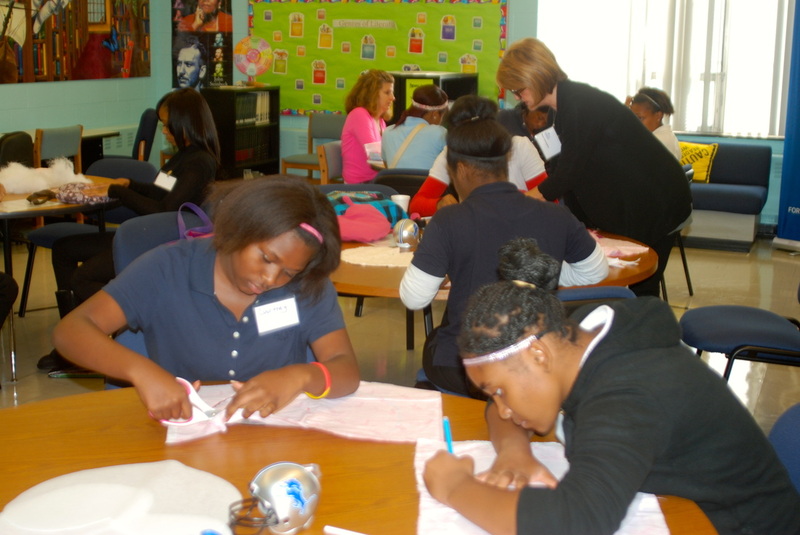 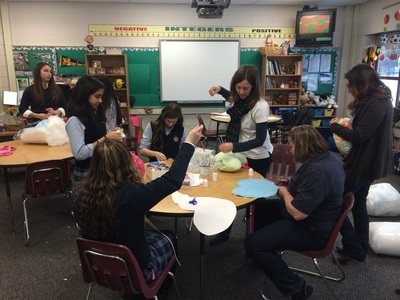 1-24-2013 The Detroit Country Day Middle School Girl Scouts team up with the Angel Pillow Project to help sew pillows. 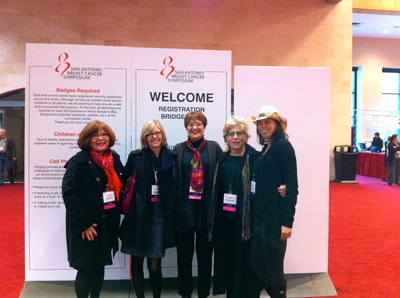 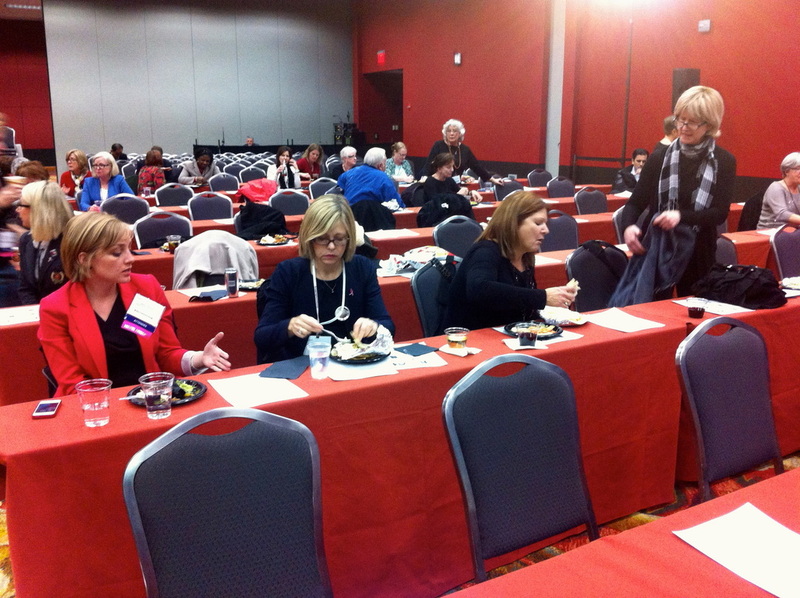 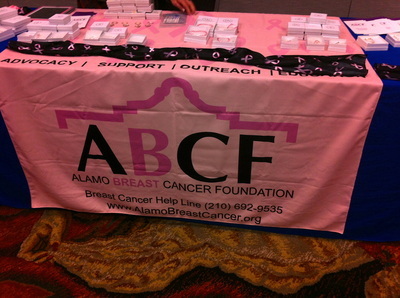 The University of Michigan Breast Cancer Advocacy and Advisory board flew to San Antonio for their annual breast cancer research update. 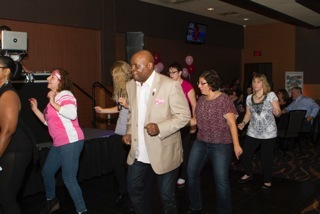 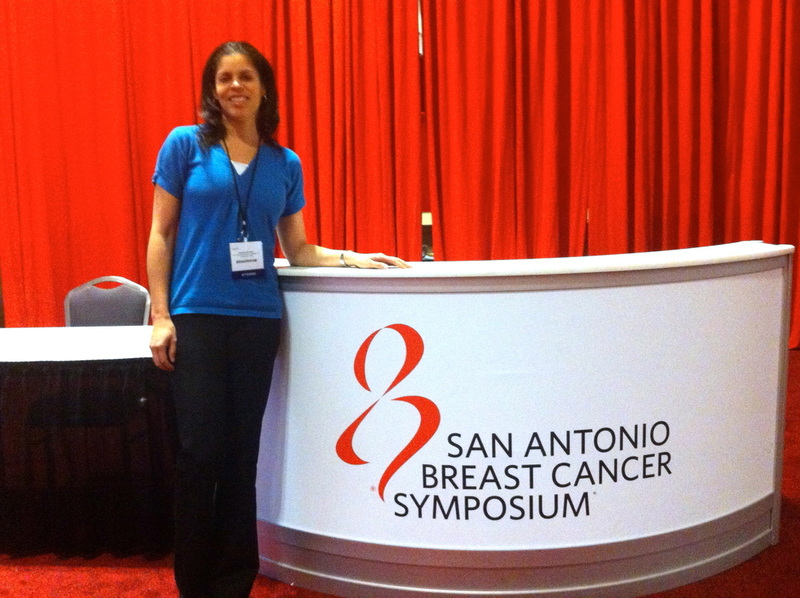 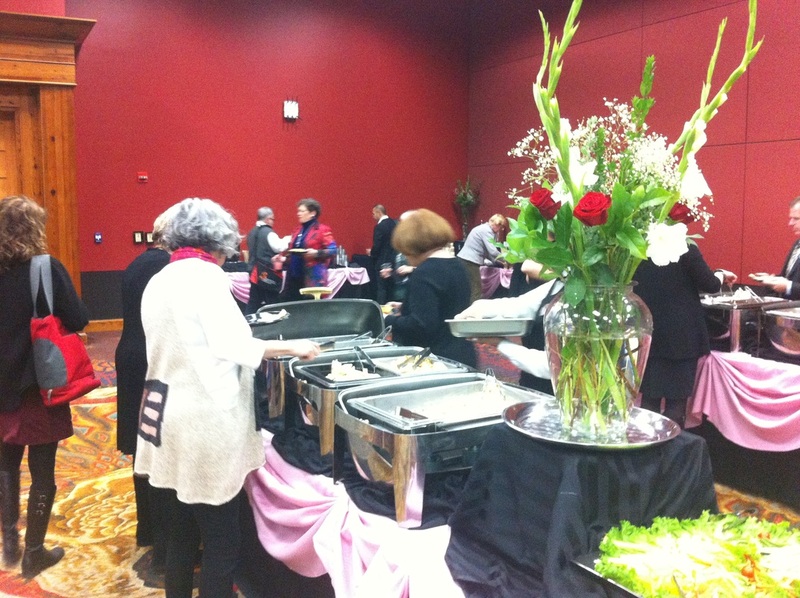 We were graciously hosted by the Alamo Breast Cancer Foundation who provided evening sessions to patient advocates in attendance. 12-19-2013 The Angel Pillow Project welcomes a new partner! 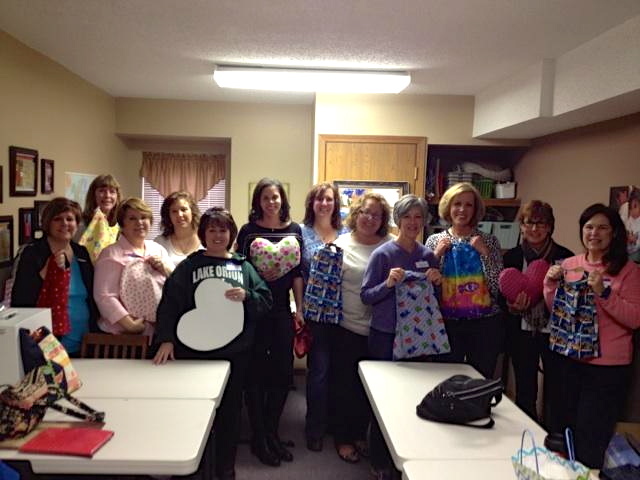 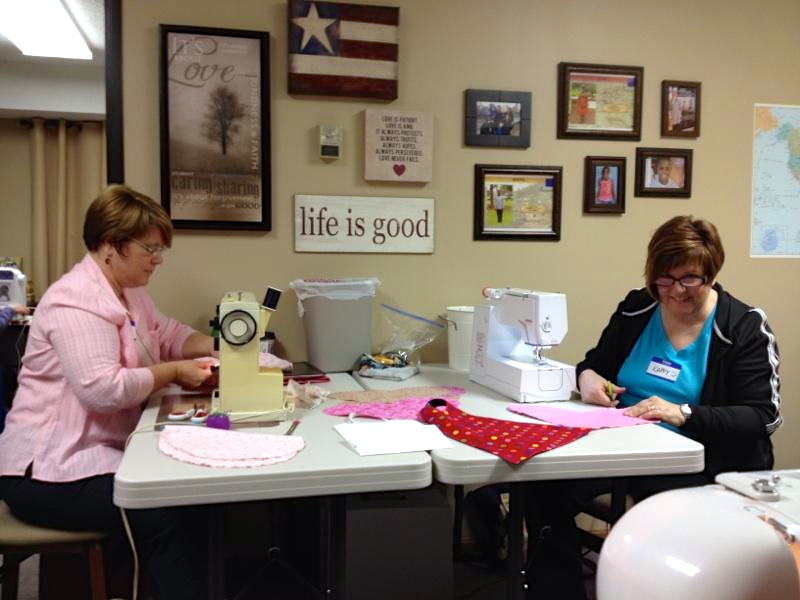 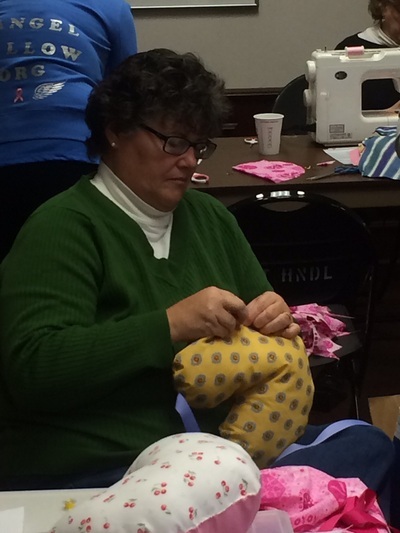 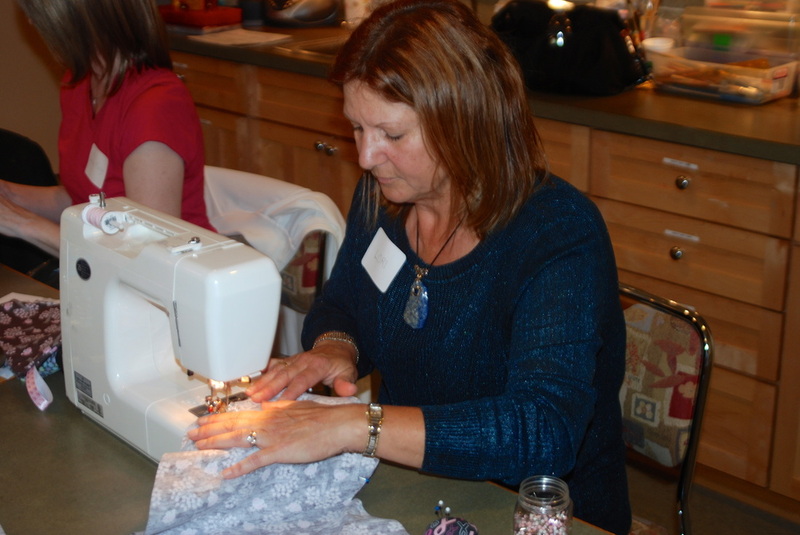 11-30-2013 The pink hat ladies hosted a sewing event! 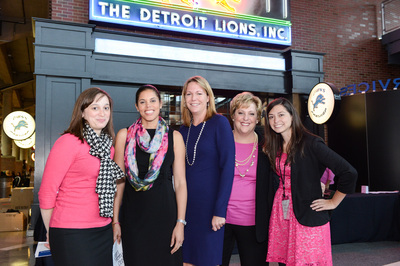 I had the opportunity to meet some pretty amazing women who are dedicated to giving back in the local Detroit community. 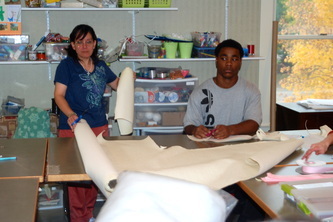 11-4-13 We had the pleasure of having a few students from The Art Institute of Michigan helping us this week. October is breast cancer awareness month. 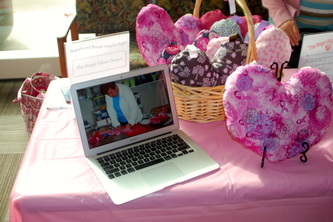 We kicked off the month with a table at the Beaumont Royal Oak Heath fair. 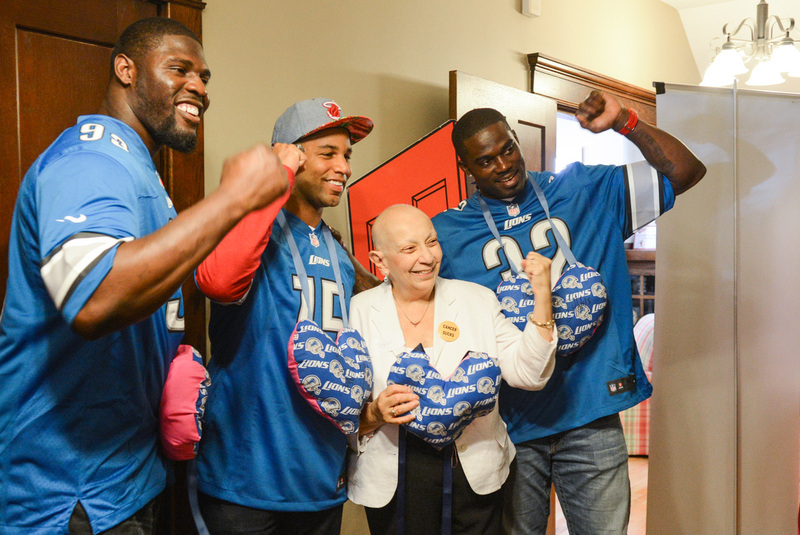 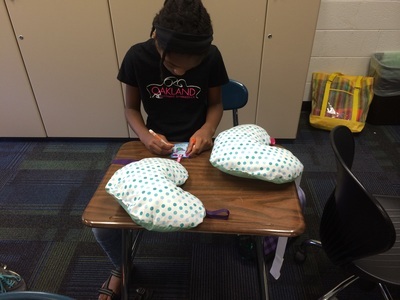 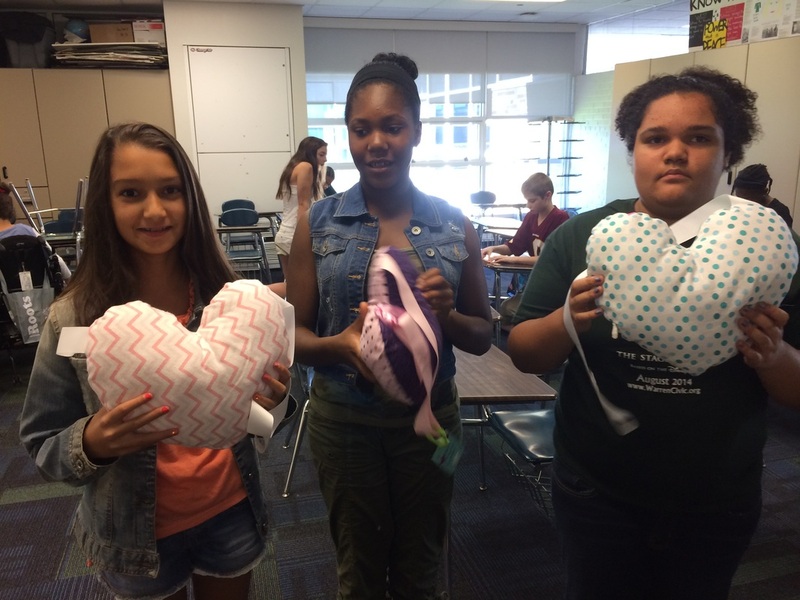 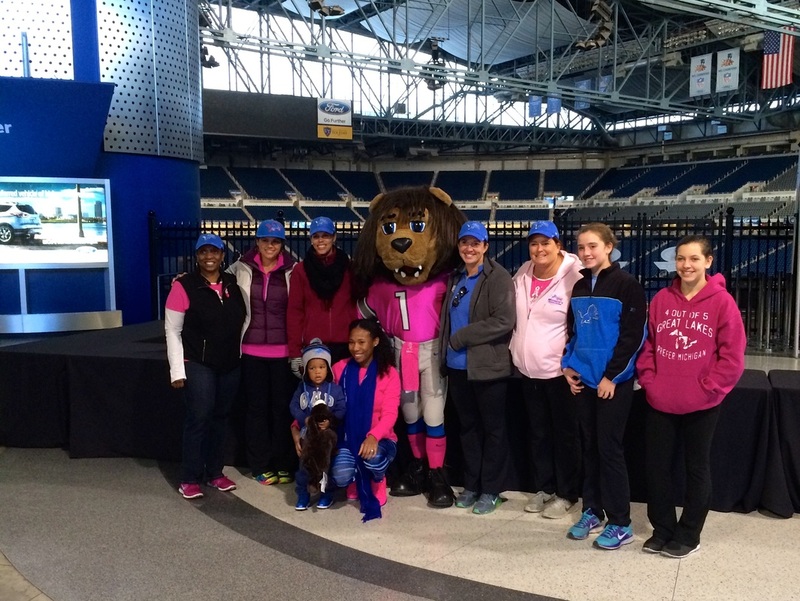 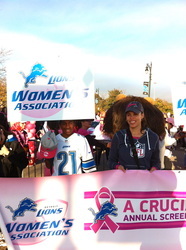 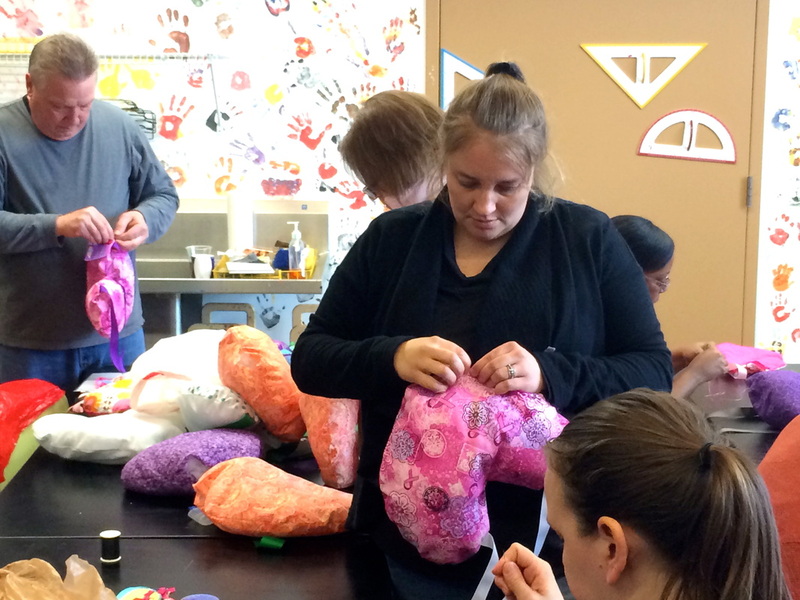 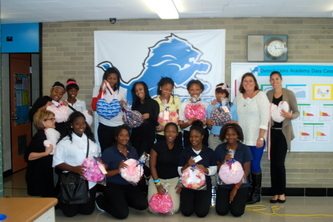 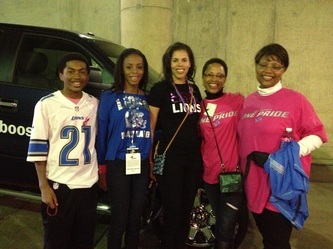 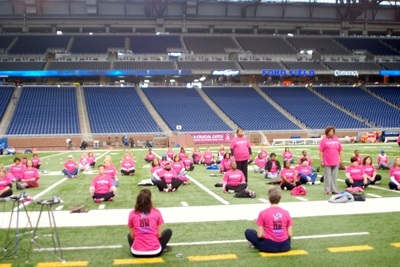 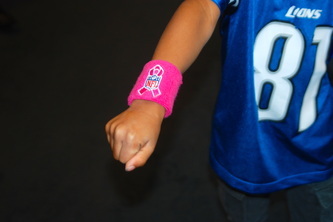 The Detroit Women's Organization made pillows with a group of students from the Detroit Lions Academy. 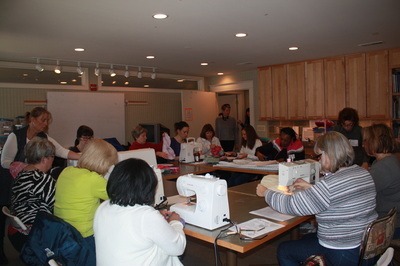 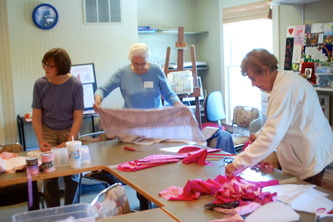 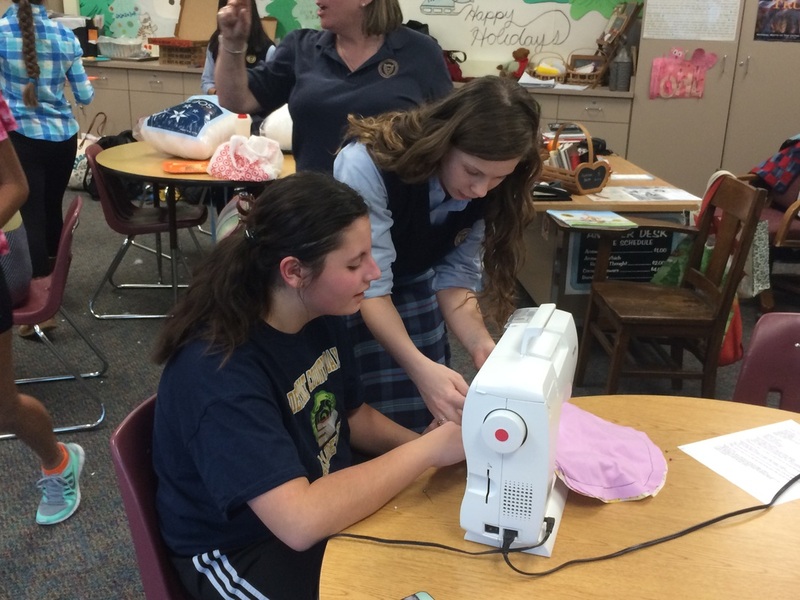 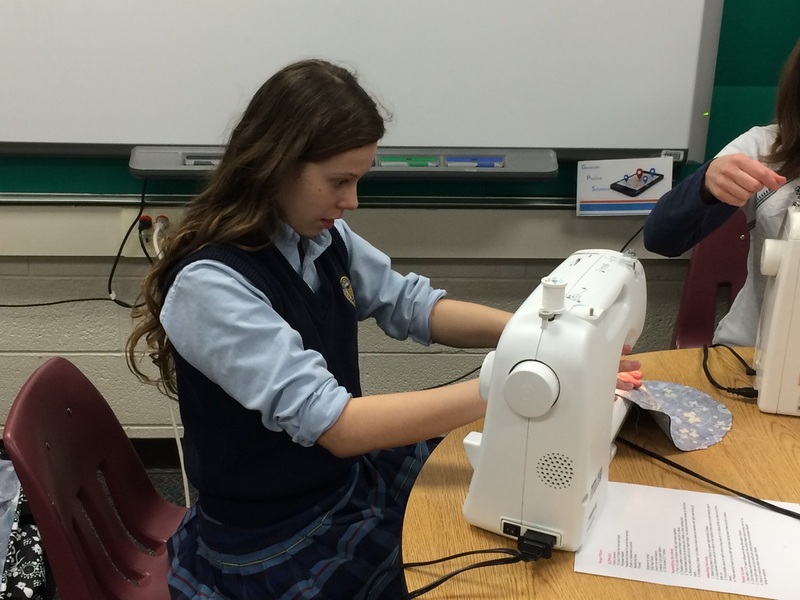 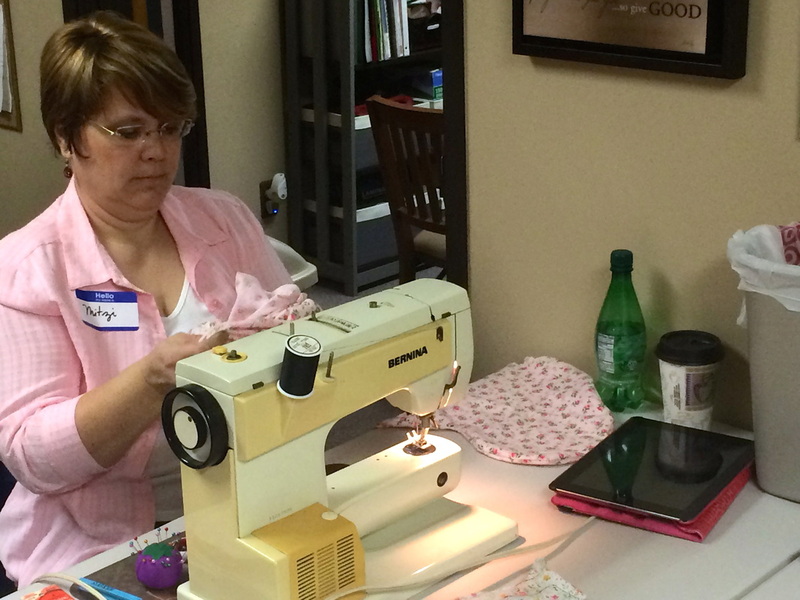 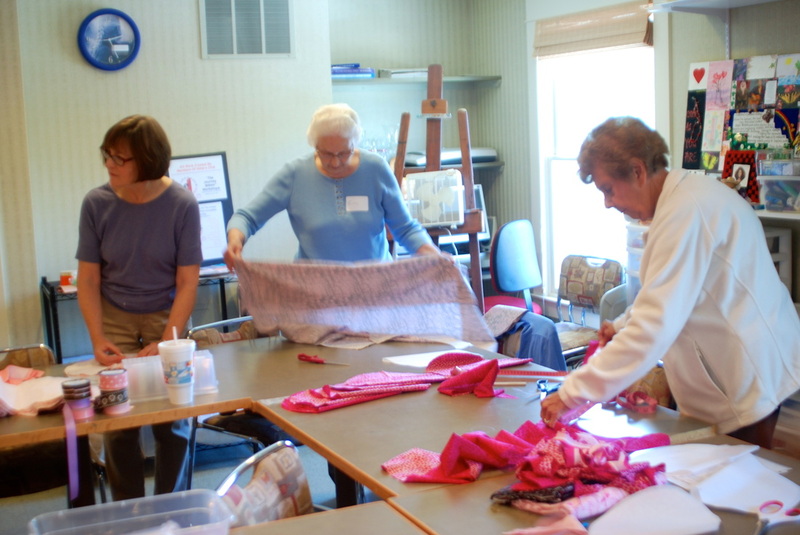 We held our first sewing party at Gilda's club today! 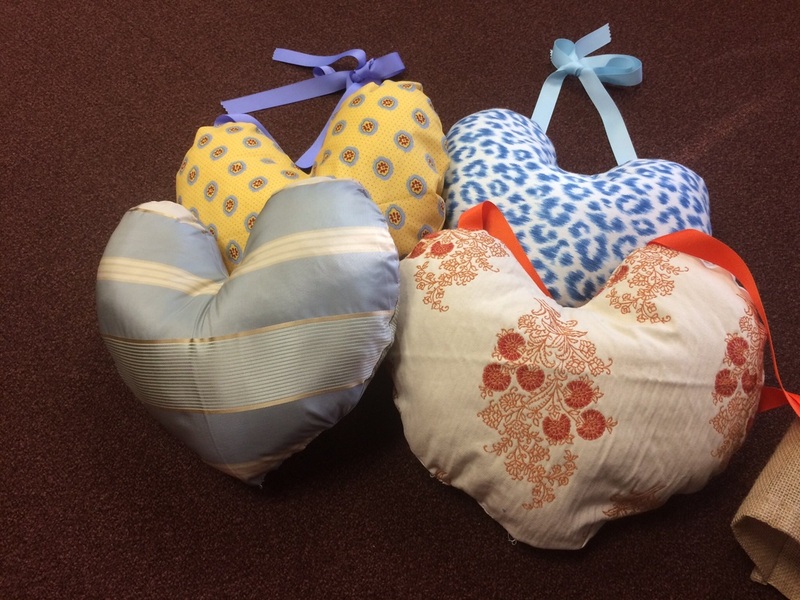 We had a great group of ladies and made some beautiful pillows to give away.